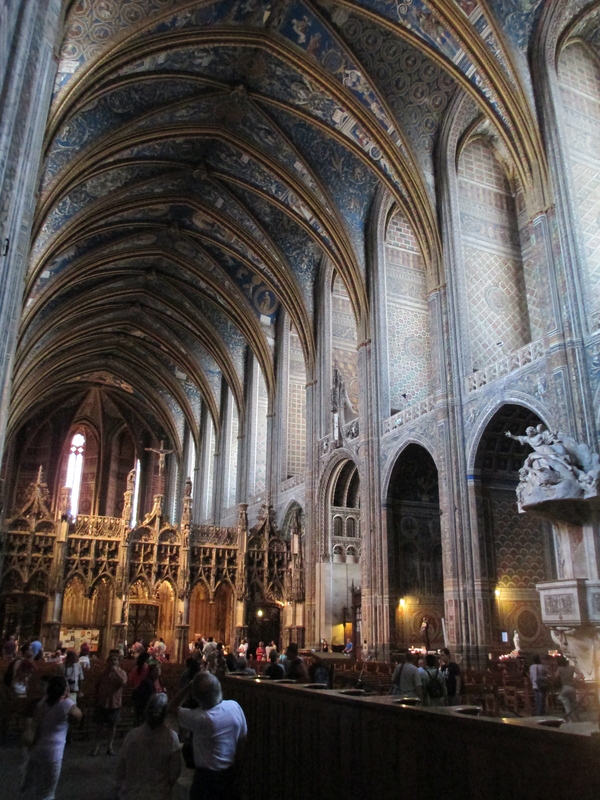 A Pictorial Tour of Medieval Cathedrals. This is by no means a comprehensive survey of medieval cathedrals. It does however cover a significant number in England, Ireland, Wales, Scotland and France. These are immense buildings with varied history and the survival of some is truly remarkable. You will find that some cathedrals have more information than others, this is simply because I either have more information on these cathedrals or more information is known. It was built as a statement of church authority over the surrounding populous as part of the conclusion of the Albigensian Crusade, something I will write more about at a later date. It is not an accident that it looks like a fortress. Biggest brick cathedral in the world. Building Begun: 12th century. This cathedral is the product of several rebuilding projects. The striking west front that you can see in the first image dates from c. 1170. Building Finished: The cathedral was finished in the late 13th century with the chancel dating from c. 1270, the steeples were added later in the 15th century and and a central tower in the 16th. Style: Romanesque and Gothic, with some Renaissance additions. The nave dates from the mid 12th century and is an excellent example of the emerging Gothic style, with some features remaining Romanesque. Building Finished: This cathedral was built in several stages due to a number of disasters, but the majority was finished by the end of the 13th century with some chapels built in the 14th century and the central tower in the 15th century. Major Disasters: In 1105 Henry I King of England set fire to the town of Bayeux and the cathedral. 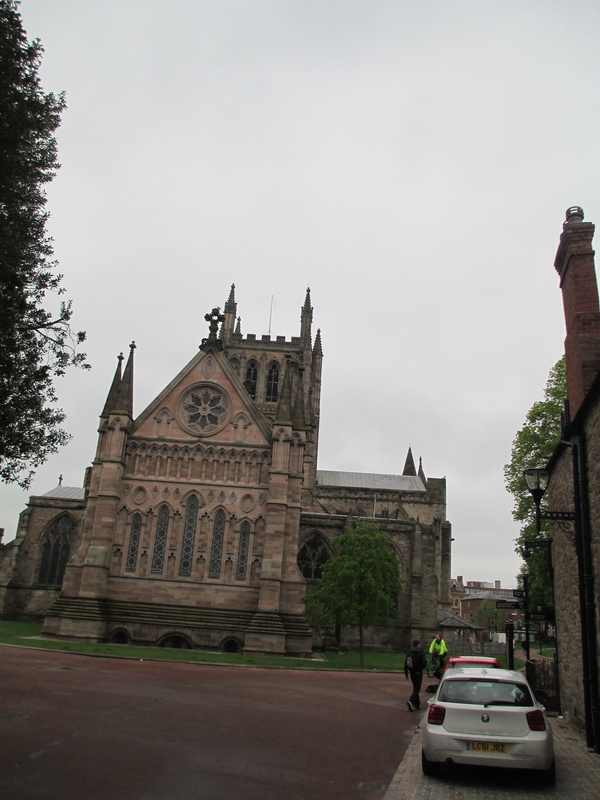 The cathedral was also set on fire during the English period of anarchy (1136-1154). Raids in the Wars of Religion in 1652 resulted in interior destruction. 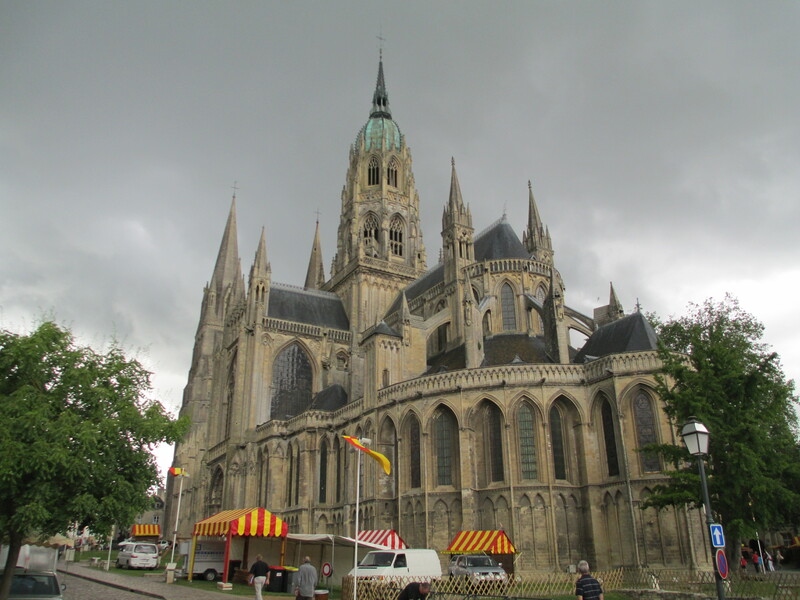 The cathedral was also the original home of the Bayeux Tapestry which depicts the Battle of Hastings and its lead up. In fact it is possible that the tapestry was commissioned by Bishop Odo for the consecration of the cathedral. For more on the tapestry read my earlier post. Building Begun: The building you see now was begun in 1070s but it stood on the site of an earlier church. There have been several additions since then: The eastern arm of the church was extended in the 1130s and the staircase towers date to 1166. The quire was rebuilt in 1175 after a fire gutted it in 1174. The current nave was begun in 1377 and the main tower was finished in 1498. In the 1800s the north west tower was found to be dangerous so it was demolished and replaced by a copy of the south west tower. Style: Romanesque, English Perpendicular Gothic, French Gothic. Height: The central tower in 249 feet high. Built: Originally in the 13th century, but rebuilt in the 14th century as a fortified church following damage during war. 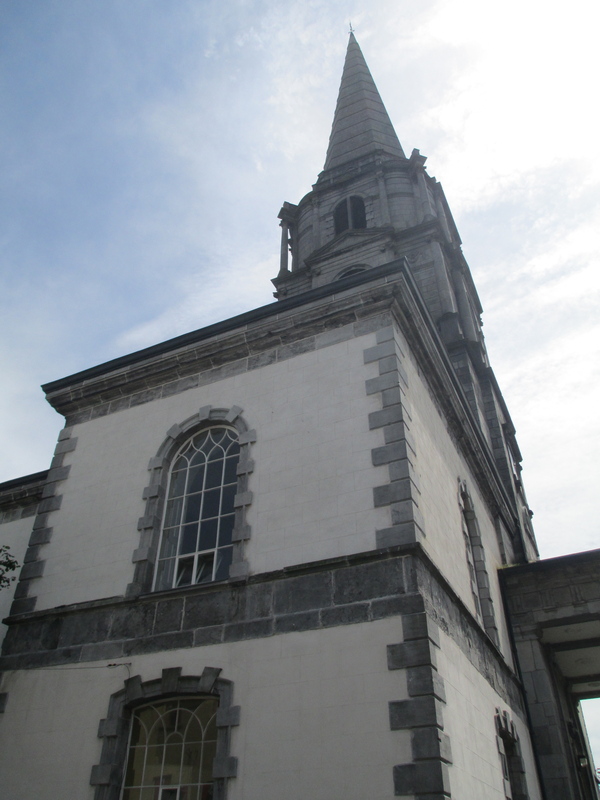 It was originally built as a parish church but was elevated to cathedral status in 1803. Major Disasters: Sacked by Lord Inchiquin on behalf of the English Parliament in 1647. The cathedral was used until 1749 when the old site was abandoned and St John’s in the town below the Rock was conferred cathedral status. The cathedral was allowed to become a ruin. Building: The foundations of this cathedral are Romanesque. The crypts are the only surviving part from this time and are the largest in France. Building of this part of the cathedral was begun in 1020 after a fire, though there have been earlier churches on the site. After another fire in 1194 construction of a new Gothic cathedral, which is primarily what remains today, was begun and took roughly 30 years. The two towers are a mixture of styles because they were built at different times. The cathedral also suffered an earlier fire in 1134 and the bell tower was destroyed, it was after this that the north west tower was built in the Romanesque style. 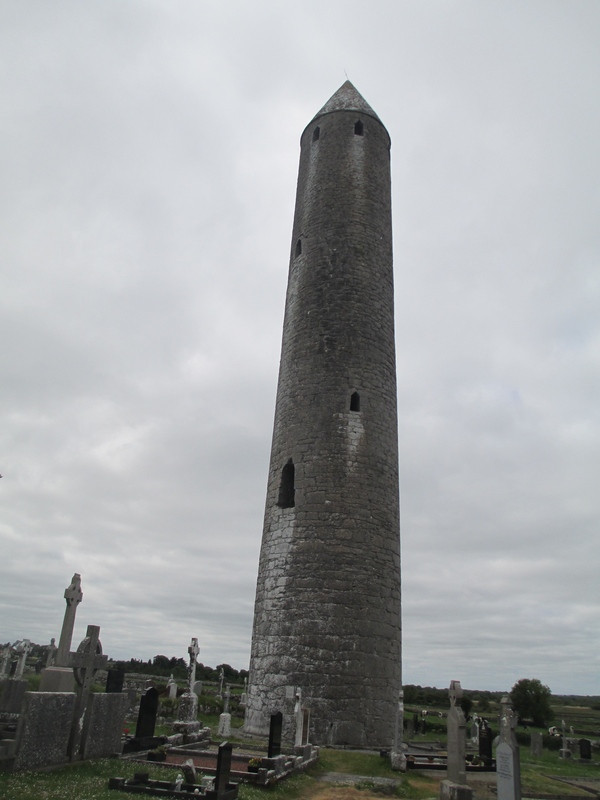 It originally had a wooden spire, but this was destroyed in the 1500s and a stone spire built. 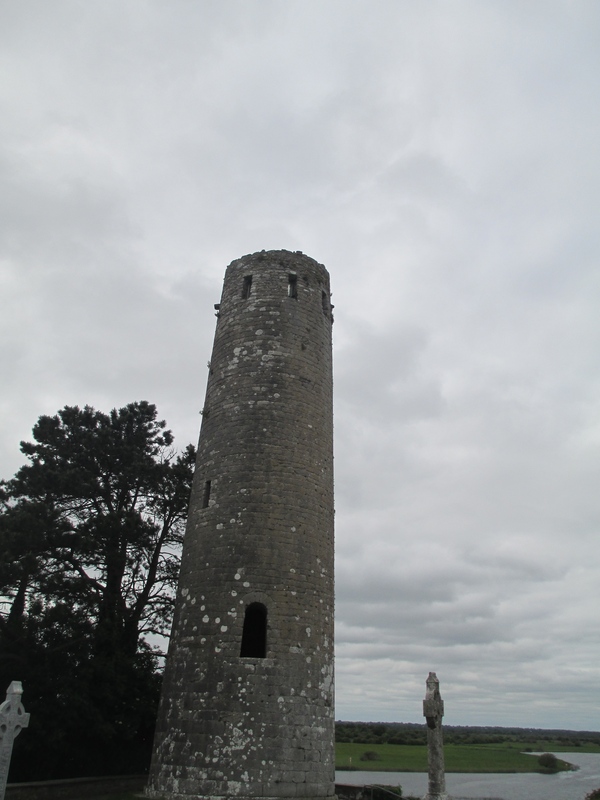 The tower was originally free standing. The majority of the cathedral is 13th century with an astonishing 80% of the original stained glass remaining. It has not been substantially rebuilt, which is unusual in medieval cathedrals. Height: NW tower: 113 m SW tower: 105m. 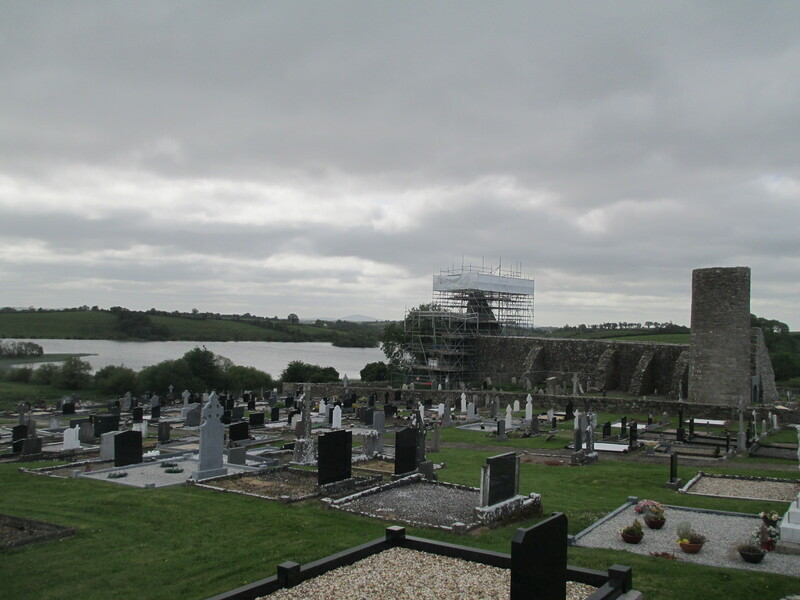 Building Begun: c. 1030 , but rebuilt after the Norman invasion in 1170 in Romanesque style. It was also extended in 1358. The south nave wall and roof collapsed in 1562 which necessitated more rebuilding. It was also heavily restored in the mid 1800s. 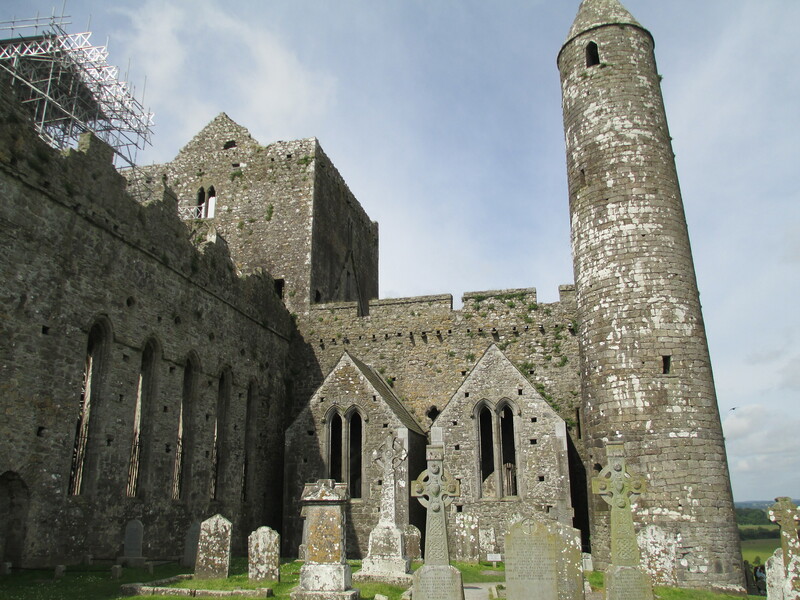 Richard Strongbow, father in law of William Marshal, and one of the leaders of the first Norman invasion of Ireland, was buried in Christ Church Cathedral when he died in 1176. His effigy was destroyed when the wall fell on it in 1562, but as it had been the site where rents had been paid in that part of Dublin a new Strongbow effigy had to be supplied the replacement dates from the 14th century. This is the effigy you see today. 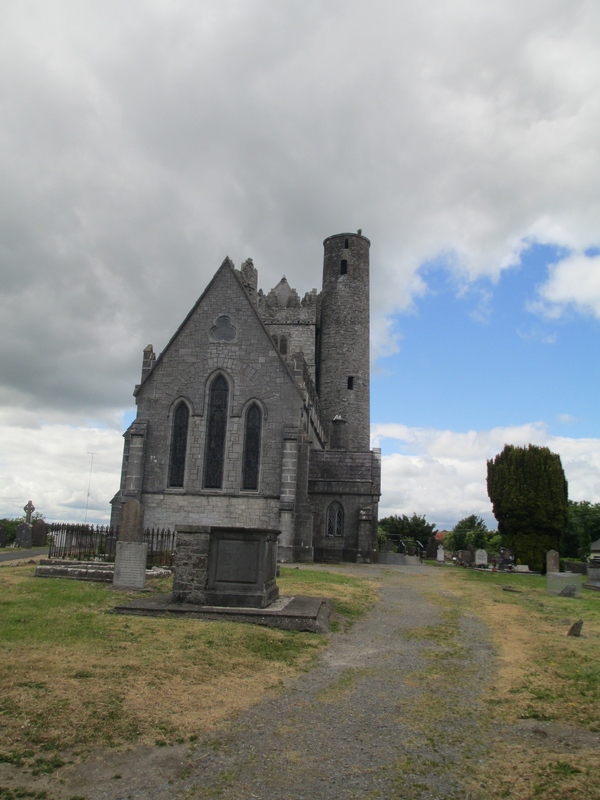 Building: A stone church was built on this site in 1191 but it was rebuilt in the early 13th century. The Lady Chapel was added in 1270, the west tower was rebuilt after a fire in 1370 and the spire dates to 1749. It was also restored in the 1800s. People Involved: In some ways it’s best known for its connections with Jonathan Swift who was Dean there from 1713-1745, he is also buried in the cathedral. Building: Elgin began to be built in 1224. It was expanded after a fire in 1270 and remodelled again after an attack by Earl of Buchan in 1390 and Alexander Lord of the Isles in 1402. Its roof was lost shortly after the reformation and the central tower fell down in 1711. In the 1820s its potential as a visitor attraction was recognised and what remained of the ruin was stabilised. Building: Known as the ship of the fens, work on the existing building began in the early 1080s. 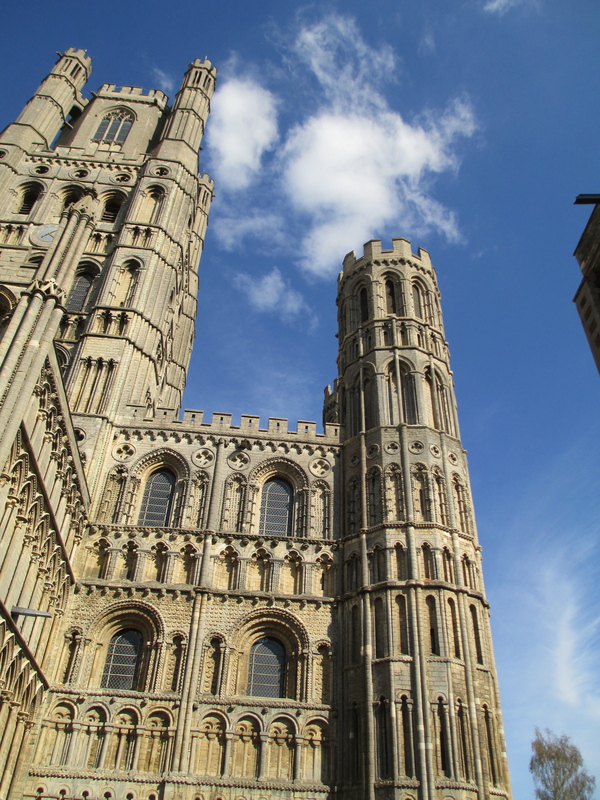 It was built on the site of older churches founded on Etheldreda’s monastery. 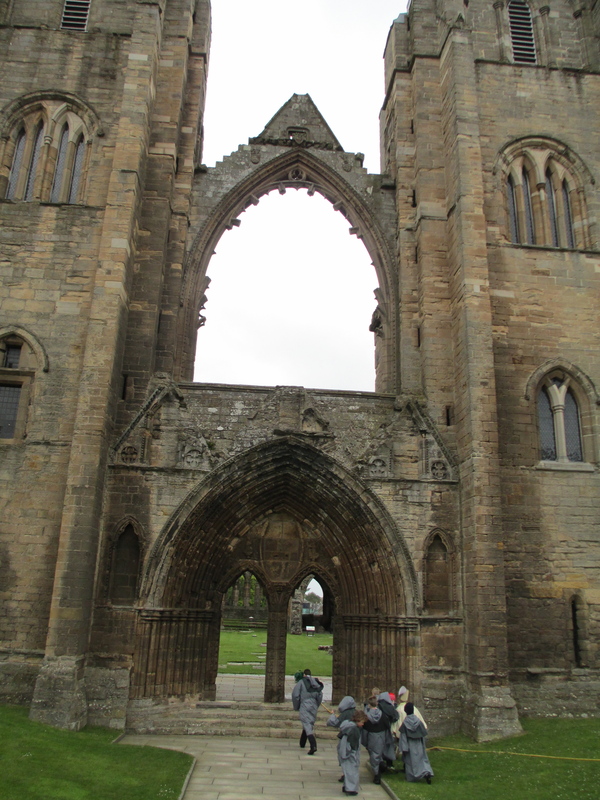 The shrine to Etheldreda remained a pilgrimage point until it was destroyed in 1541. 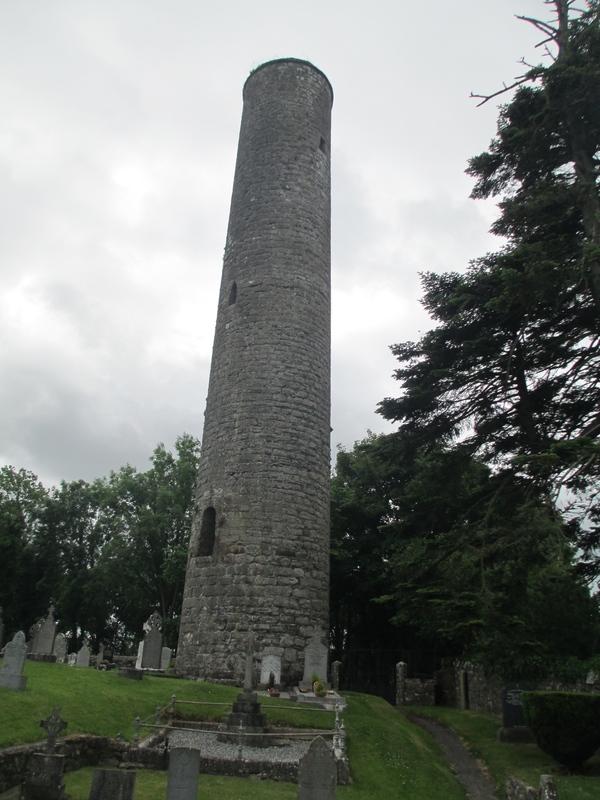 The central tower also fell over in the 1300s and the octagonal tower you can see today was built. The west tower was extended in the 14th century with a belfry and supporting turrets added to the existing Norman tower. The lady chapel was completed in 1349. The interior hammerbeam roof dates to the 15th century. The cathedral was originally a monastic community, but it this was dissolved in the dissolution of the monasteries and the the cathedral was re-founded in 1541. Style: Romanesque, with some Gothic additions. Height: West tower is 66m. Length: The nave is 76m long. 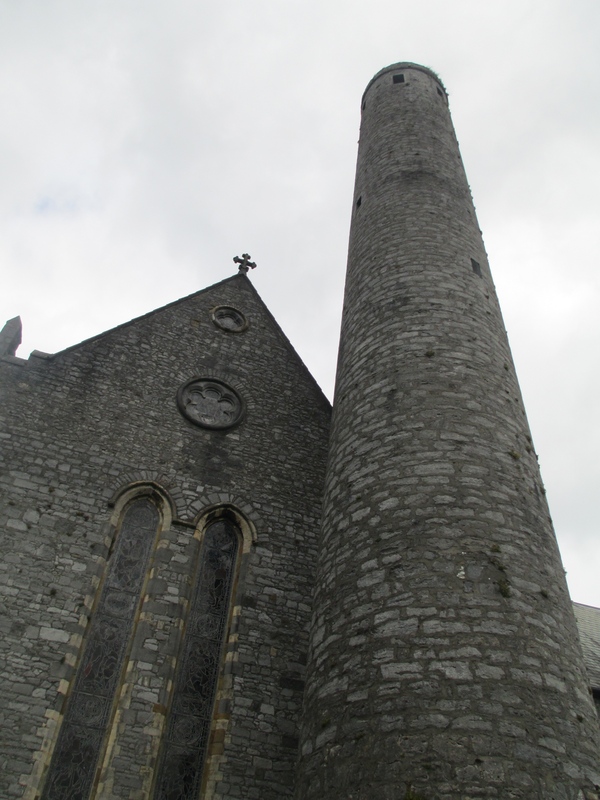 Building: Part of the Glendalough monastic community. The nave probably dates to 900-1000 and the chancel and sacristy probably date to 1100-1200. 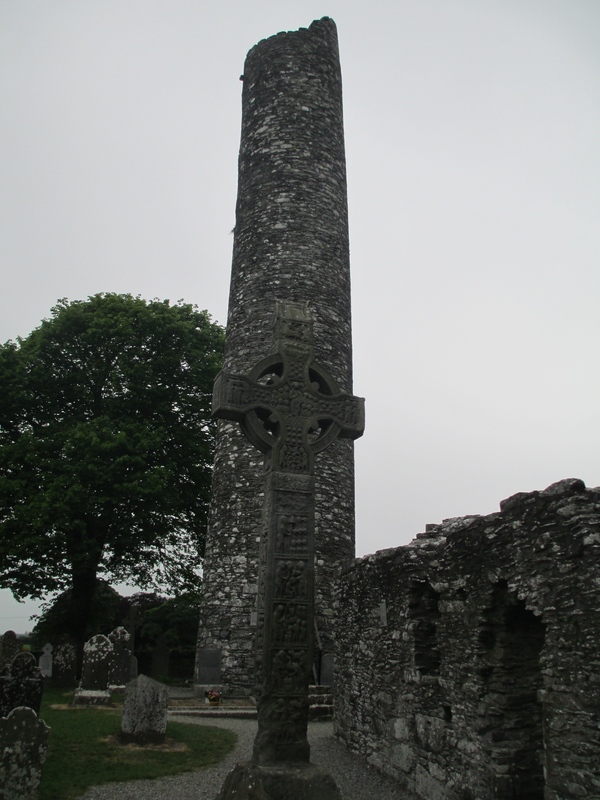 It ceased to be a cathedral when the diocese of Glendalough was united with Dublin in 1214. The light coloured stone in the arch comes all the way from Bristol in England, which gives a pretty good indication of how wealthy the Glendalough community was at one point. 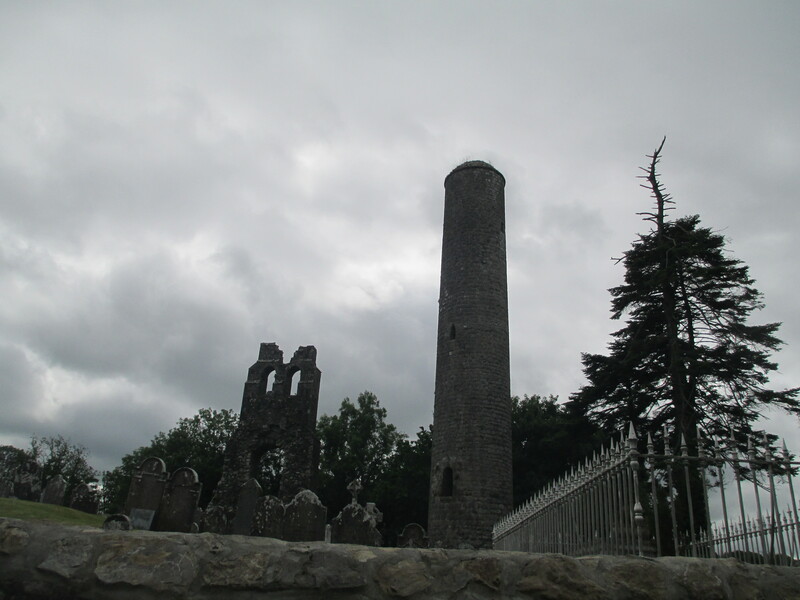 The “flight of the earls”, which is the name for the departure of many of the last of the Gaelic chieftains of Ireland, in 1601 really spelled the end for the Glendalough community and the buildings all began to fall into disrepair. 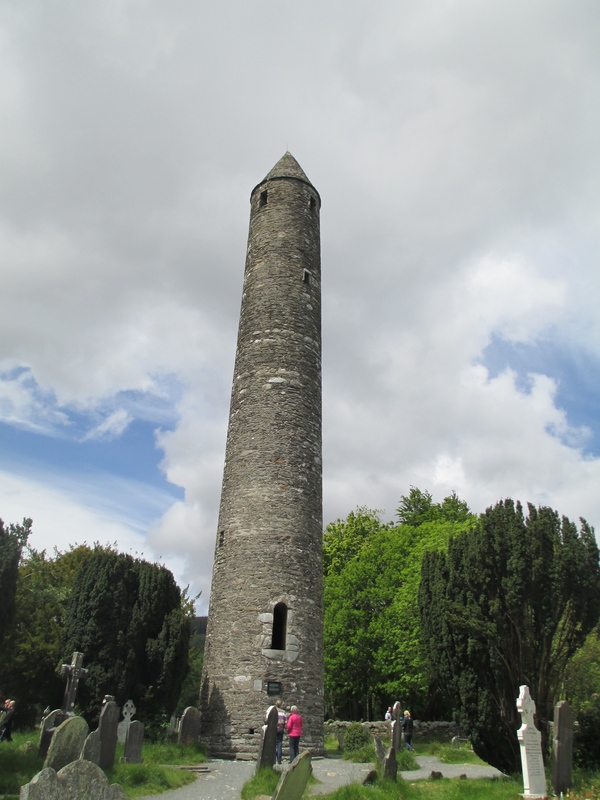 In the 1870s Glendalough came under he control of the Board of Works and they undertook to renovate what remains. Style: Romanesque and a little Gothic. The Cathedral Church of Saint Mary the Virgin and Saint Ethelbert the King. 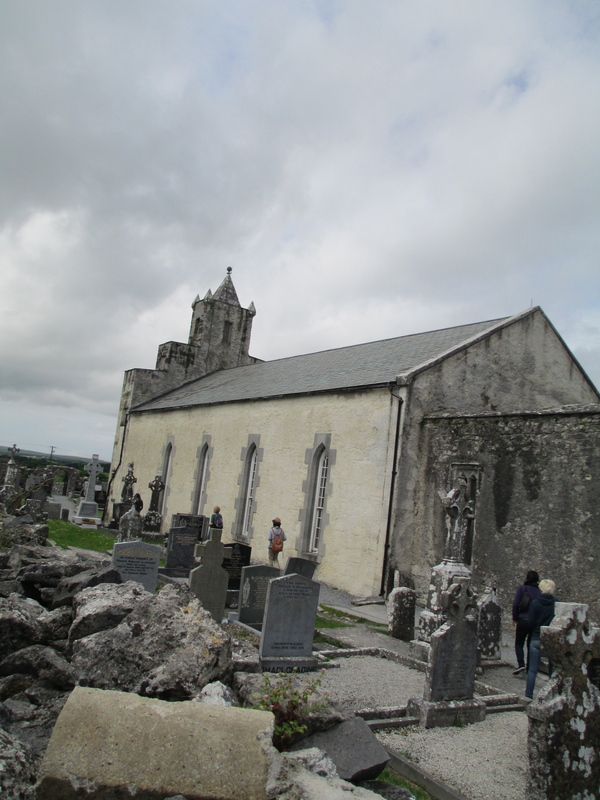 Built in the late 1100s after Kilfenora became a diocese. The chancel is now roofless, but parts of the cathedral are still used today. A wooden roof painted with small stars on a blue background remained over the chancel until the last century. Interestingly the diocese of Kilfenora is so small that there is not a specifically appointed bishop, therefore the Pope takes the role of Bishop of Kilfenora. 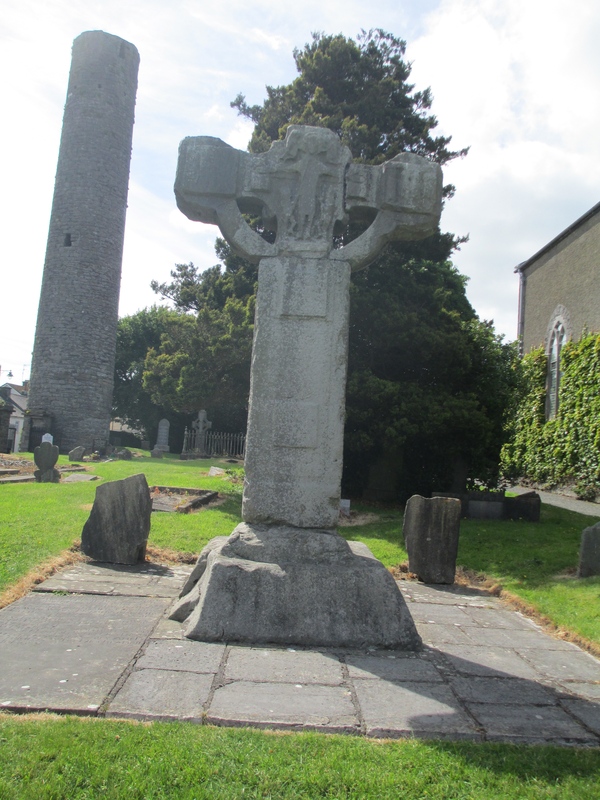 Kilfenora is also home to several high crosses, which mainly date to around the 12th century. 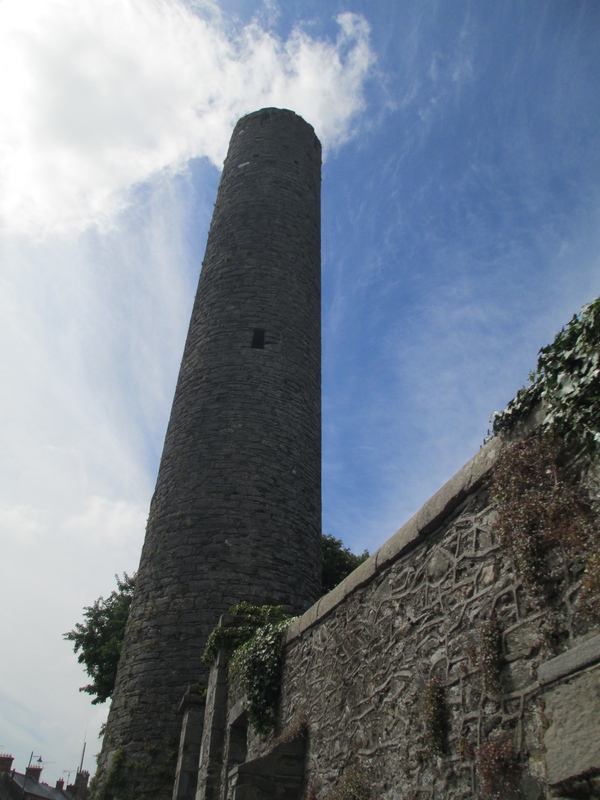 It sits in the fascinating landscape of the Burren. The building work for the existing cathedral began in c. 1202, but it was on the site of an earlier monastery and the round tower was already standing as it had been built in c. 849. The work on the existing cathedral was complete in 1285. The central bell tower collapsed in 1332 and had to be repaired, though the ribbed vaulting you can see from the interior was added in 1475 and is purely decorative. The cathedral was also significantly damaged by Oliver Cromwell in 1650 and it was left roofless and abandoned for 12 years, before eventually being restored. There was also extensive restoration work undertaken during the 1800s and the 1900s. The roof of the nave dates from this time period. The choir stalls were installed in 1901. Building: St Magnus was founded in c. 1137. The St Rognvald chapel was added in the 13th century along with the west door. The cathedral was also extended in the 14th and 15th centuries. 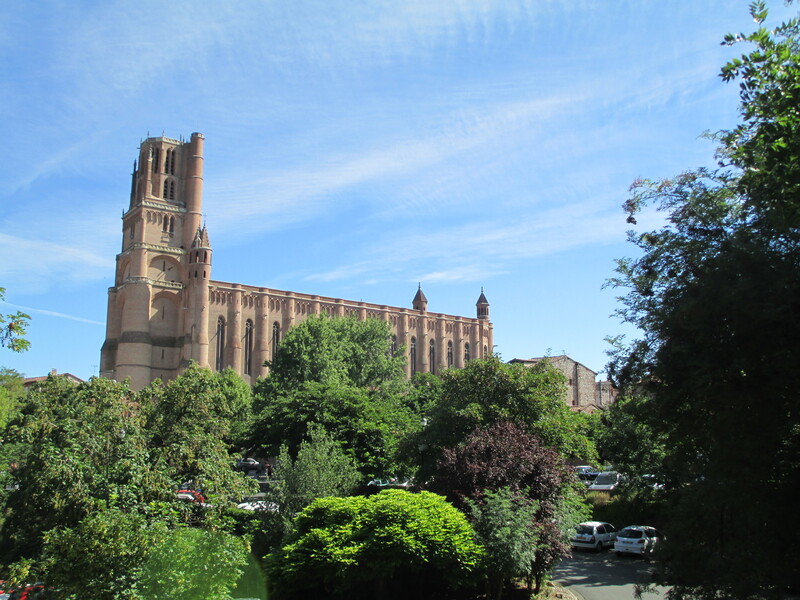 It was built of local red sandstone and yellow sandstone. St Magnus is the patron saint of the Orkneys. Magnus was the eldest son of one of the Earls of Ornkey, his cousin Haakon was the eldest son of the other Earl. They spent much of their life in disagreement, though it was said that Magnus was the more popular and the more pious. After the death of both their fathers this antagonism continued between the two Earls. A meeting was agreed in 1117 to try to resolve some of the differences. They both agreed to bring only 2 ships and a limited number of men, but Haakon broke the agreement bringing 8 ships full of armed men. Magnus refused to let his men defend him against his cousin instead offering three options to Haakon other than killing him. Haakon was willing to accept the 3rd option, which was to blind and maim Magnus and cast him in a dungeon. But Haakon’s advisors told him Magnus had to die. The task fell to Haakon’s cook Lifolf who took up an axe and killed Magnus. Magnus’ last words are said to have been “Take heart, poor fellow, and don’t be afraid. I’ve prayed to God to grant you his mercy.’ Magnus was initially buried on Birsay but miracles began to be spoken of at his grave. The Bishop of Orkney declared him a saint not that long after. In 1129 Magnus’ nephew came from Norway and defeated Haakon’s son Paul and became Earl of Orkney. 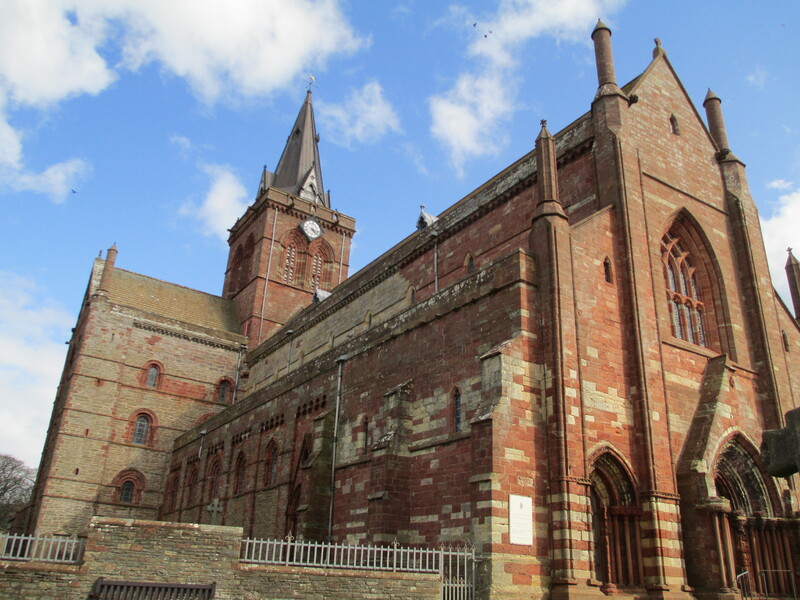 He had made a vow that if he succeeded in becoming Earl of Orkney he would build a stone church at Kirkwall and dedicate it to St Magnus and have his relics places there. Earl Rognvald founded St Magnus in 1137 and St Magnus’ relics remain there today along with Earl Rognvald’s. Style: Northwest European Romanesque and early Gothic. Source: St Magnus booklet. ISBN: 9780711744677. Building: The cathedral was begun in 1000s. There is still a small amount of the 1086 cathedral visible. 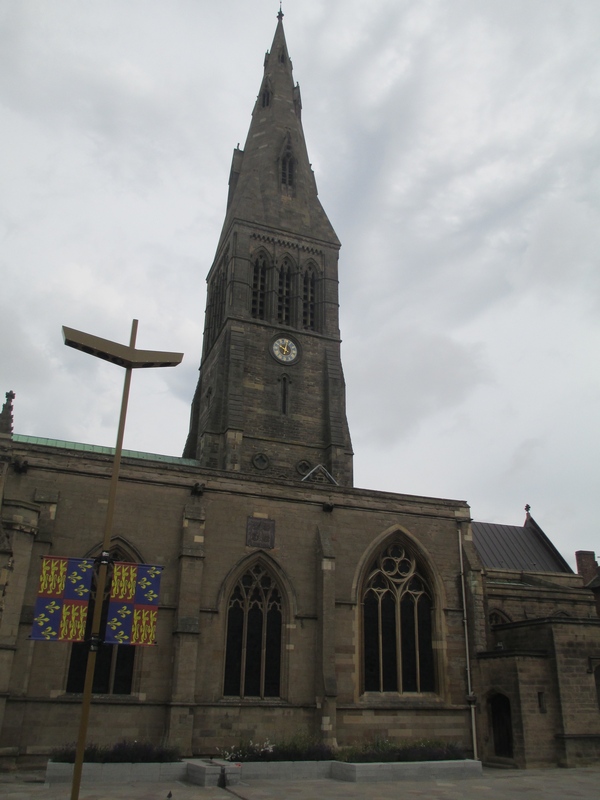 The Doomsday Book records that there were three churches in Leicester, the current cathedral was one of them. The church was rebuilt in the 13th century as Leicester Abbey. The nave and the chancel were extended in the 15th century. The spire was added in 1757. It was much restored in the 1800s as well. In 1927 Leicester was given a bishop again and the Church of St Martin became Leicester Cathedral. 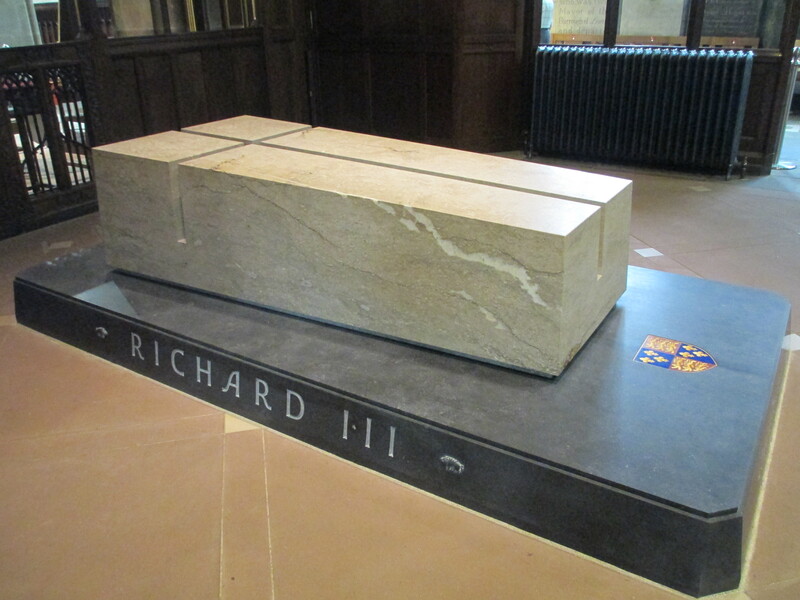 Leicester Cathedral has been best known recently for being the re internment site of Richard III. Richard III died at Bosworth Field in 1485, the last English king to die on the battlefield and the final Plantagenet King. He was buried at Greyfriars and was rediscovered under a car park in 2012. He was re-interred in March 2015. Source: http://thefreelancehistorywriter.com/2012/10/31/leicester-cathedral/ and Leicester Cathedral booklet. 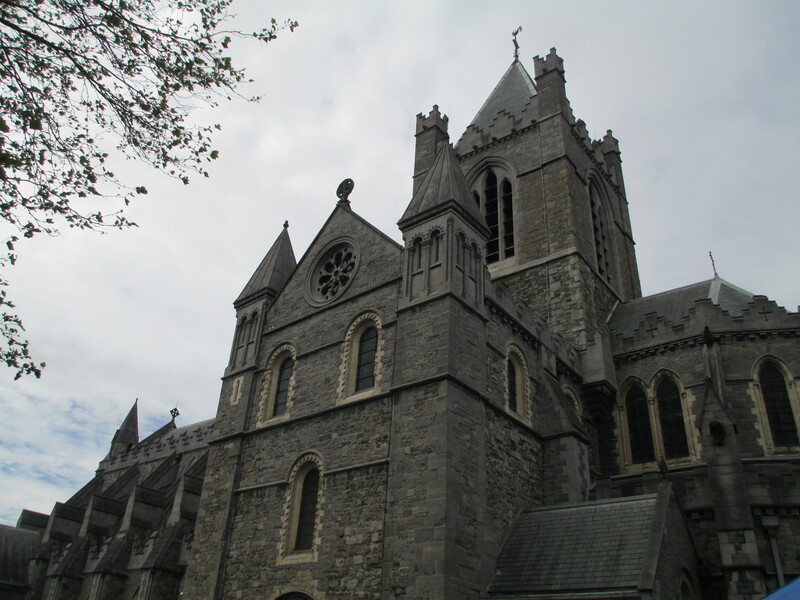 Building: The cathedral was founded in 1072 and was consecrated in 1092. Its roof was destroyed by fire in 1141 and rebuilt by 1148. 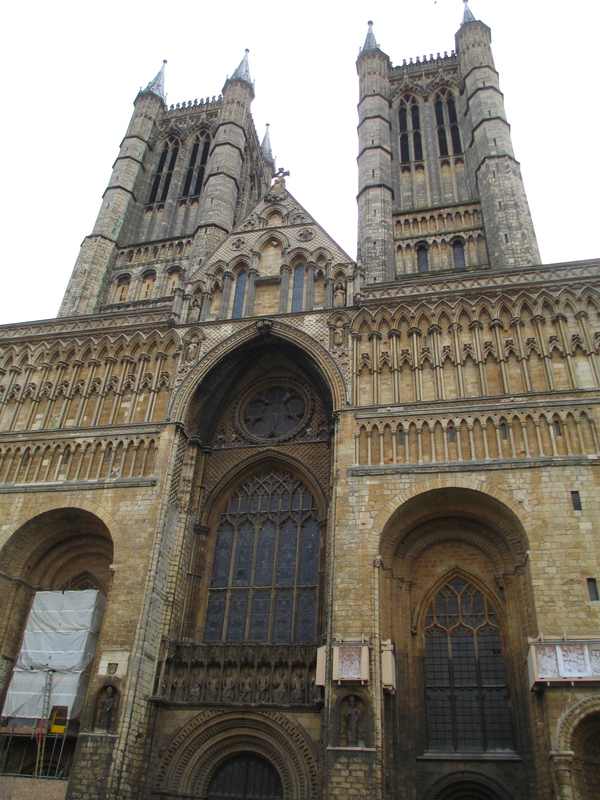 In 1185 an earthquake destroyed much of the cathedral and it was rebuilt by St Hugh of Lincoln between 1192 and 1200. The east transepts were built in c. 1200 and the main transepts in c. 1210. In c. 1230 the chapter house was built. In 1237 the main tower collapsed. 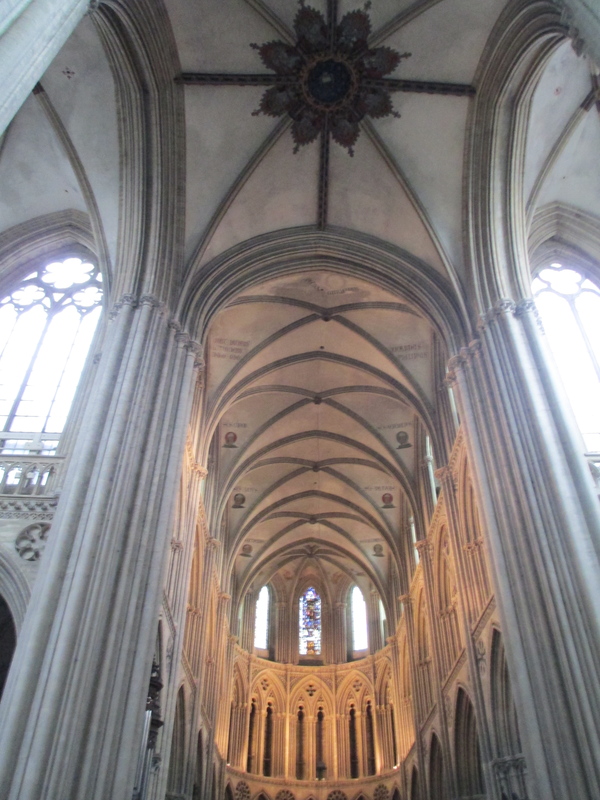 The angel choir was built between 1256-80. 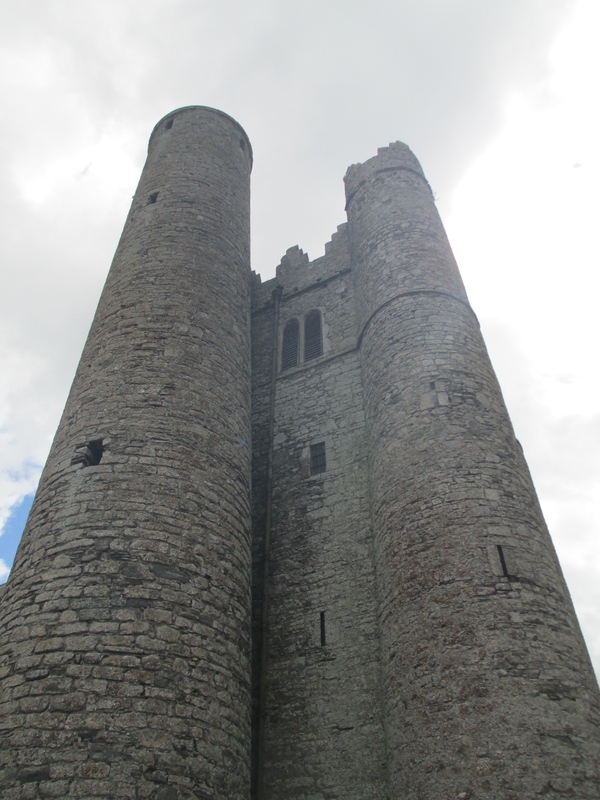 In 1311 the central tower was raised and the western tower was raised in 1420. 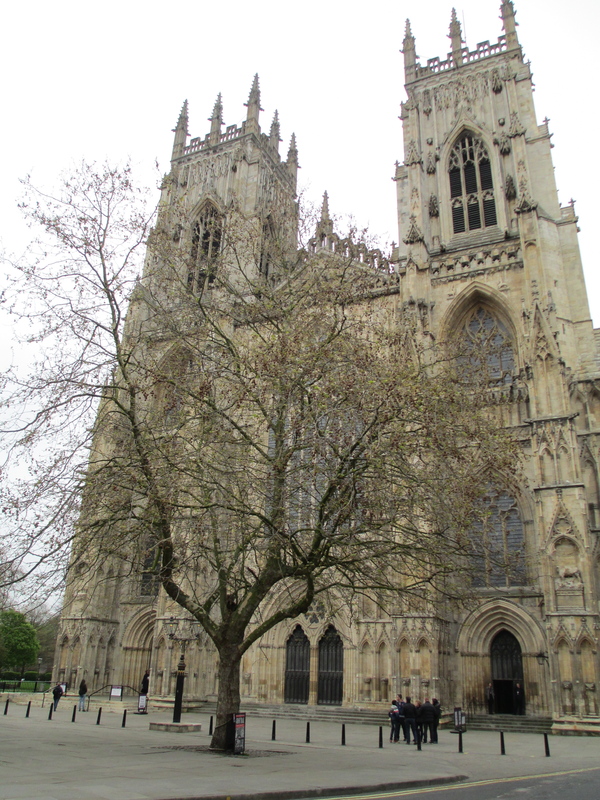 In 1549 the spire blew down and the western spires were removed in 1807. The cathedral was much restored in the 1900s. 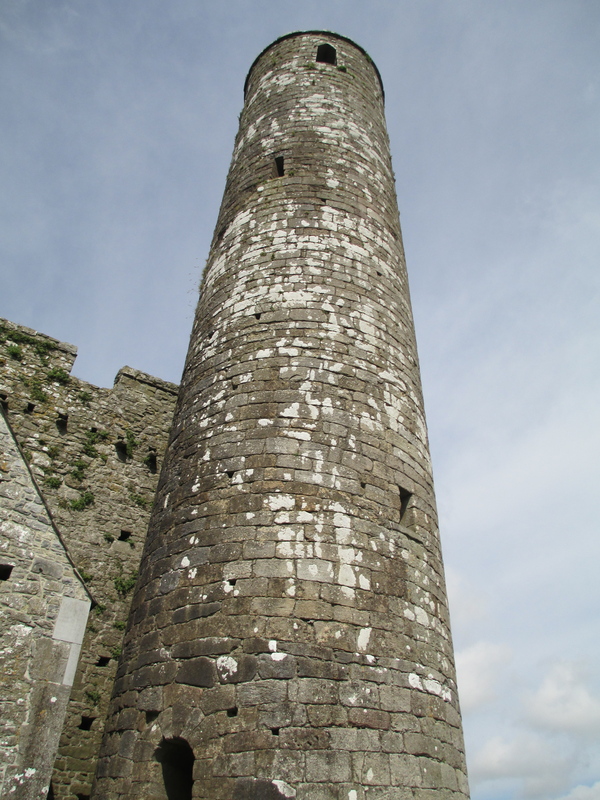 All the towers had spires until 1549 when the central tower’s spire blew down. For a significant period of time after the 1311, when the tower was raised to its present height, Lincoln Cathedral is thought to have been the tallest buildings in the world. Lincoln Cathedral is the burial place of the viscera of Eleanor of Castile the wife of Edward I. She was present for the consecration of the Angel Choir in 1280. When she died ten years later her viscera were interred at the cathedral. It is also the site of one of the Eleanor Crosses, the crosses that Edward I had built to remember Eleanor of Castile at the places where her coffin stopped on its return to London. It is ambiguous when there was first a church at Southwark, but an Augustinian priory was re-founded in c. 1106 by two Norman knights. Like most of the area surrounding it the priory was under the control of the Bishops of Winchester. The Bishops control included the Southwark prostitutes. After the dissolution of the monasteries the church became the property of Henry VIII . It was renamed St Saviours and rented to the congregation. 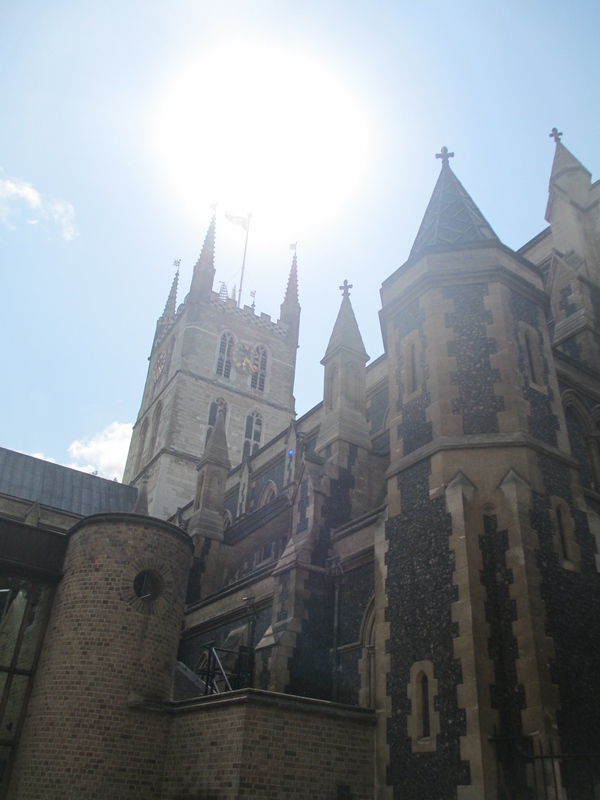 A group of merchants bought the church from James II in 1611 for 800 pounds. By the 1820s the physical state of the building had become a real cause for concern. There was a lot of argument about what to do, at least partly because there were concerns with the new London Bridge and it coming closer to the church Eventually restoration was agreed upon. A new diocese was created for the area in the mid 1800s and as part of this a new nave was built in 1895. In 1905 St Saviours became Southwark Cathedral. Building: The first cathedral was built in c. 604. 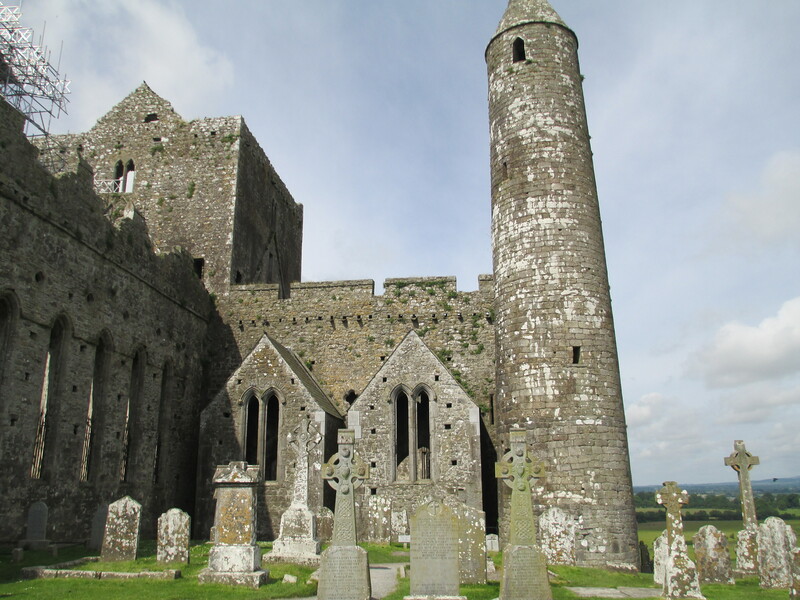 It was rebuilt in stone in 962. 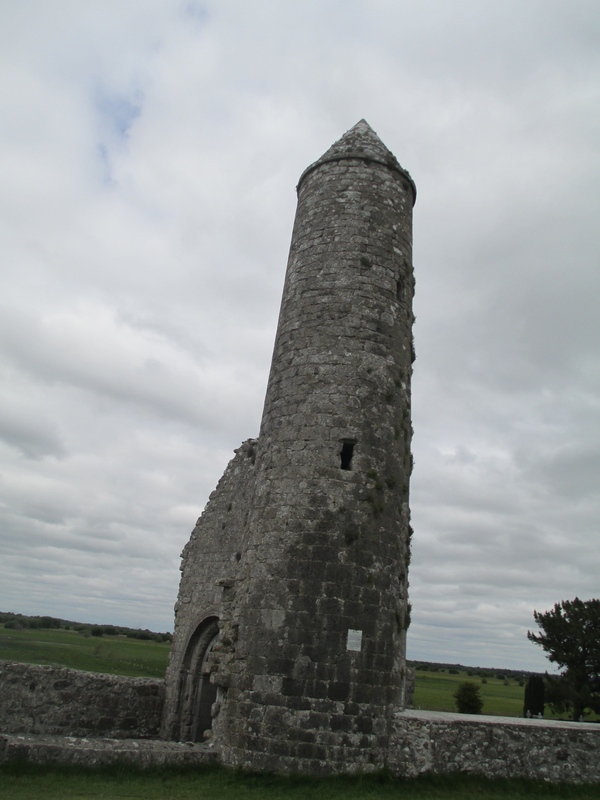 After more destruction it was rebuilt again by the Normans beginning in 1087. The quire was the first part of the Norman cathedral finished in 1148, which meant that it could be used for worship as soon as possible. 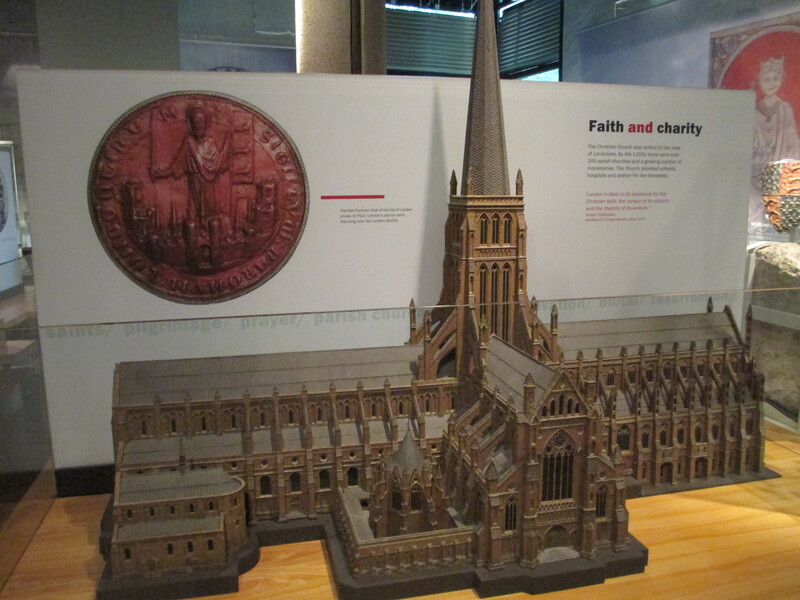 Parts of the cathedral were destroyed during the reformation and under Henry VIII, namely some of the shrines. 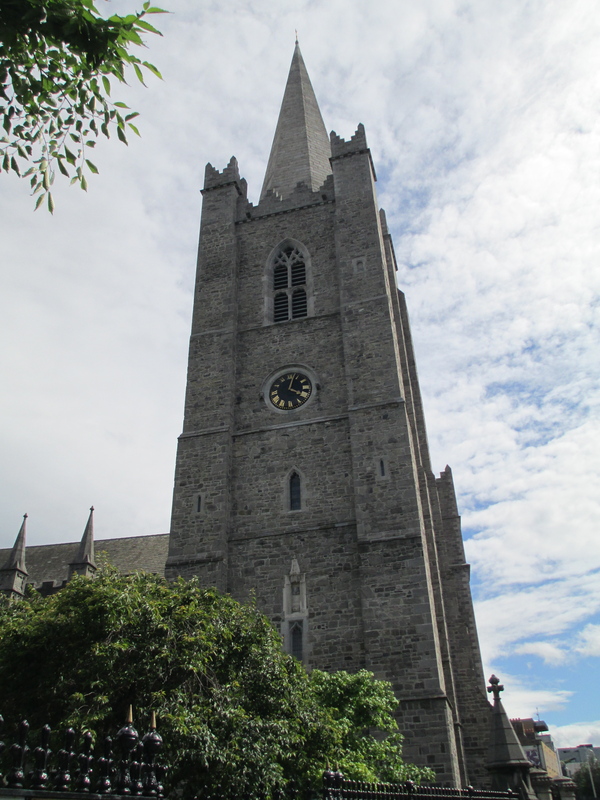 In 1561 lightning struck the spire and destroyed the steeple and much of the roof. Plans were made for reconstruction, but were never fully carried out as they were interrupted by the English Civil War. The parliamentary forces took the cathedral and its Dean and Chapter were dissolved. The lady chapel became a preaching auditorium and the nave was used as a cavalry barracks with sometimes up to 800 horses stabled inside. By the 1650s the building was in extensive disrepair, but when Charles II was restored as King plans were made for restoring the cathedral. A plan was actually agreed on in August 1666, which was unfortunately only one week before the Great Fire of London. The scaffolding around the cathedral helped to fuel the fire and as the high vaults fell the books stored there added to the fuel. There were even reports of the stone being so hot that some of it exploded. The structure was beyond hope of rescue. 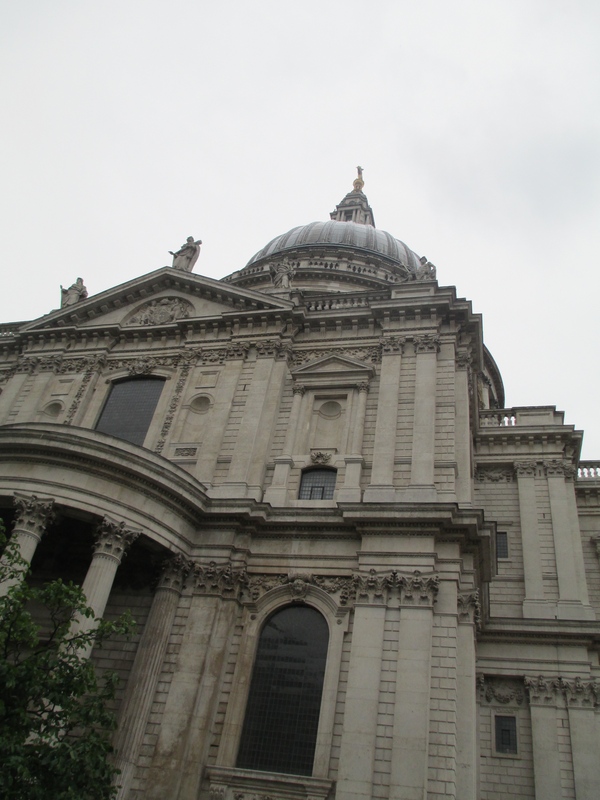 The building you see now is the masterpiece of Christopher Wren. It took nine years to plan and approximately 35 to build. The final stone was laid in 1708. The Cathedral is also justly famous for surviving the Blitz of the WWII. At 111 m St Paul’s was the tallest building in London from 1710 to 1962. 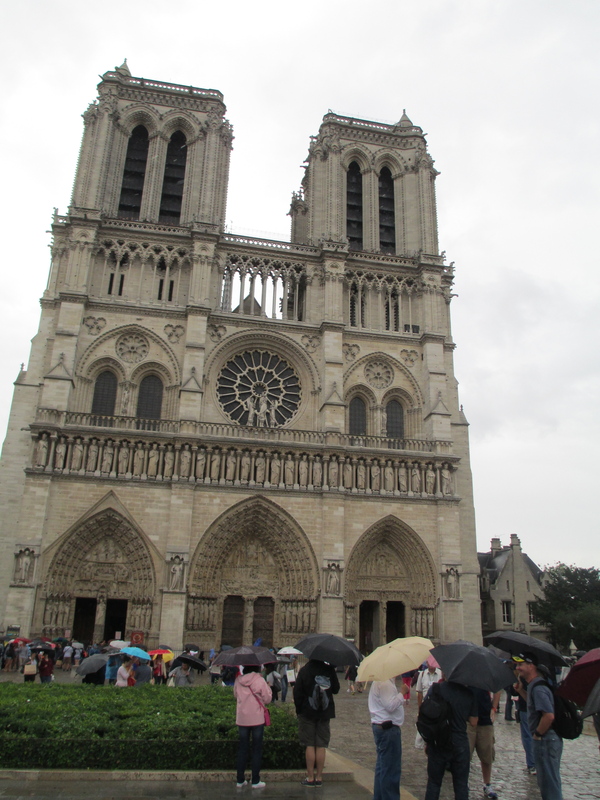 Building: Tradition has it that Notre Dame’s first stone was laid in 1163, it was built in Gothic style. The choir and the double deambulatory were built first and finished by 1182, the last three bays of the nave were finished by 1190, the facade, the first two bays of the nave and the gallery of kings were complete by 1225 and by 1250 the upper gallery, the towers of the facade, the side chapels and some of the flying buttressing was complete. 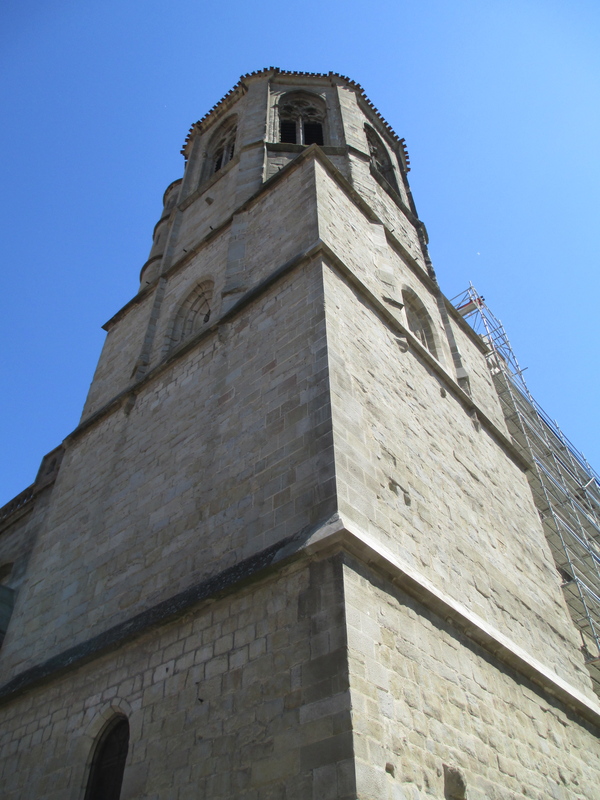 The first spire was added in c. 1250 to the transept tower, a bell tower that at one stage held five bells. It was taken down between 1786 and 1792. 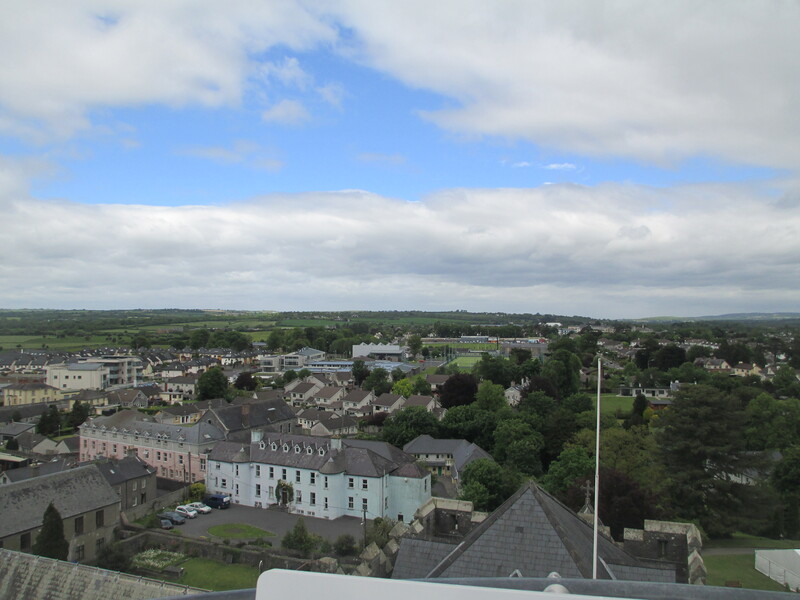 In the mid 1800s during the restoration of the cathedral a new spire was added, it is a stand alone tower and is modelled on the spire built in Orleans in 1852. The transept arms, the north and south counter braces, were extended in the late 13th early 14th century along with the construction of the choir chapels and the asps between the buttresses. There was also fairly extensive restoration work done in the 17th and 18th centuries as well as the addition of a new sacristy, the restoration of many of the statues and the installation of new windows. 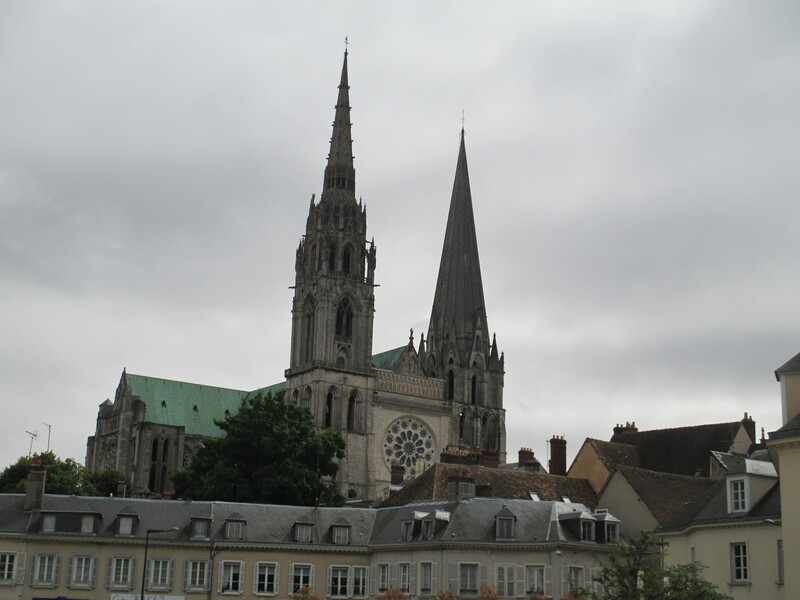 During the French revolution the cathedral also suffered. The 13th century spire was demolished, 28 statues from the gallery of kings were destroyed, all the major portal statues apart from the statue of the virgin from the cloister portal were also destroyed. Notre Dame is one of the most famous cathedrals in the world. It is an excellent example of the Gothic style which was just starting to develop in detail at the time of its construction. It has survived with a remarkably small number of disasters considering its long history. Building: The cathedral stands on the site of the tomb of St Denis, who is thought to have been the first Bishop of Paris. He was martyred in c. 25o CE. While there has been a church on this site since the 6th century in was Abbot Suger in the 12th century who began the Gothic cathedral. 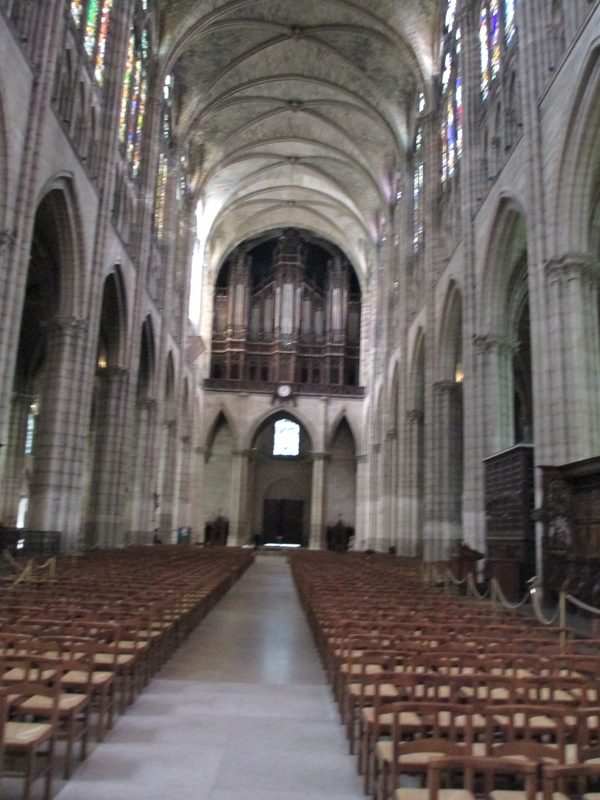 It was not a cathedral at this stage, it was the church for the Abbey of St Denis. 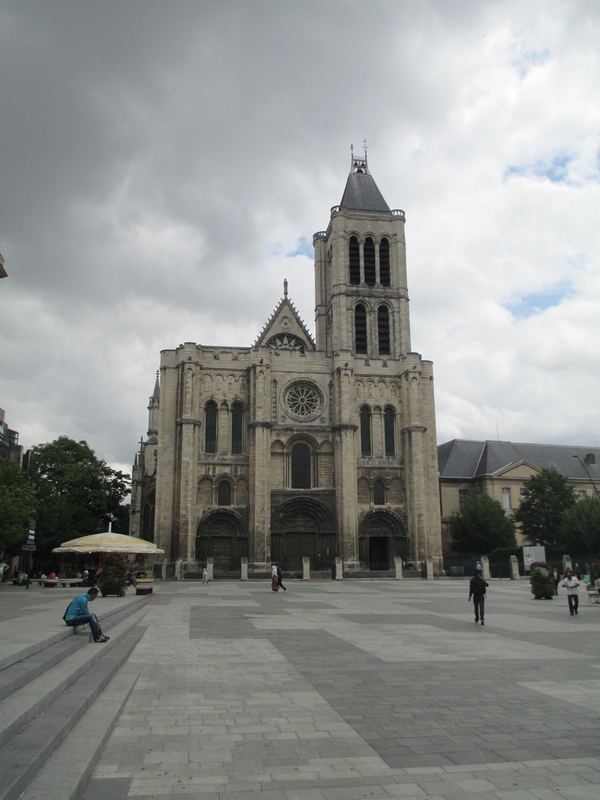 The church was extended in the 13th century during the reign of Louis IX who later became St Louis. The church suffered at the hands of war and revolution, but was restored in the 19th century. It became a cathedral in 1966. It also contains the royal ossuary, which is where the bones exhumed from the royal tombs during the Revolution were gathered by Louis XVIII. Building: The first church on this site was 655 CE as part of a Celtic abbey. 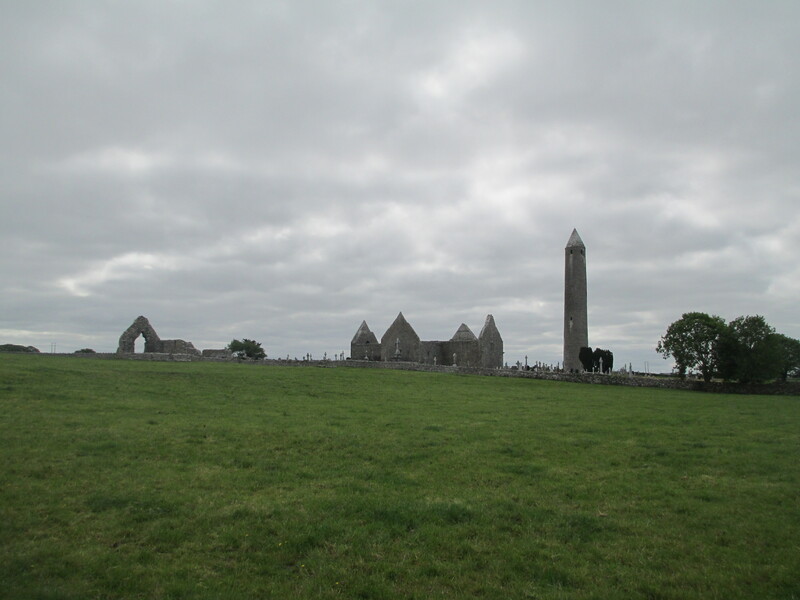 It was destroyed by a Danish attack in 870 and the site was abandoned until the 10th century when a Benedictine community was founded on the site. But in 1070 Hereward the Wake arrived and this led to great damage to the building following resistance to the Norman Conquest. A accidental fire in 1116 caused more damage so it was decided to build an entirely new church which took 120 years and 11 Abbots to complete. The west front, which you can see in the photo, is probably Peterborough’s most recognisable feature, it was completed in the 13th century. The arches are 26m high. 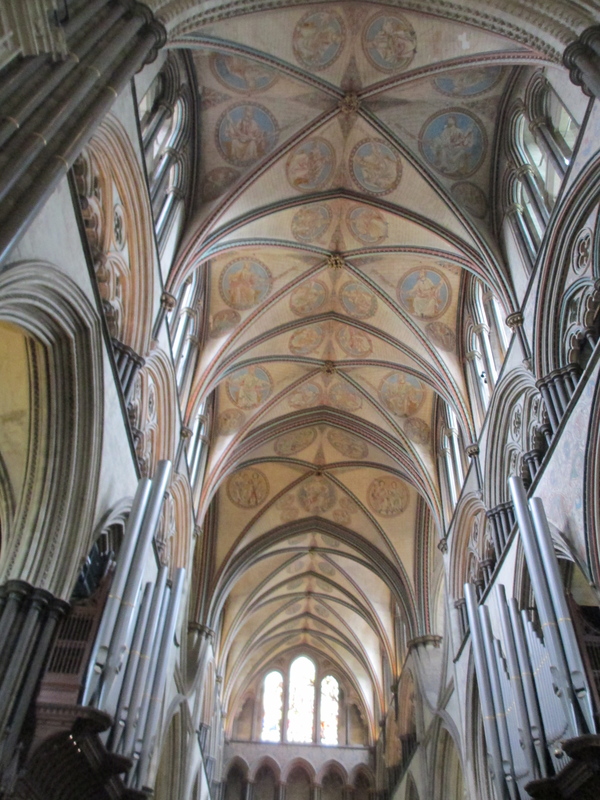 The nave’s ceiling was probably completed around 1250 and is the only surviving wooden ceiling of this age and design in the UK. 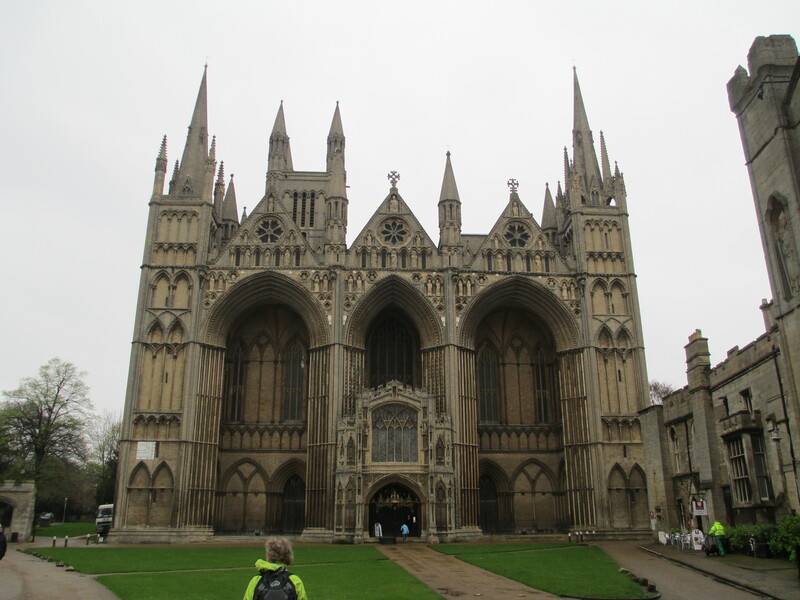 Peterborough Cathedral is the burial place of Katherine of Aragon and was the original burial place of Mary Queen of Scot after her execution in 1587. Her son James I had her body moved to Westminster Abbey. 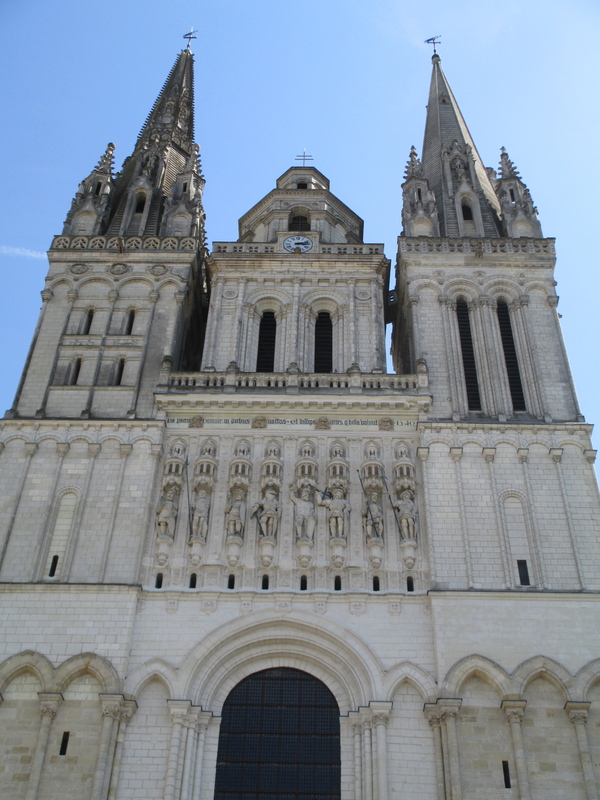 Building: The Romanesque parts of this cathedral began to be built in c. 1000, it was blessed in 1063. In 1144 it was decided to add a tower to the cathedral and the whole cathedral began to be reconstructed as a Gothic edifice. The Saint Romain tower on the left is a remaining part of some of the very early rebuilding and you can begin to see the transitional style from Romanesque to Primitive Gothic. The reconstruction of the entire cathedral as Gothic began in c. 1185. In 1200 a fire destroyed much of what remained of the Romanesque cathedral and most traces of the original Romanesque cathedral were removed in remodelling after the fire. The three bays chapel was built in c. 1302 and the windows were opened up in c. 1370. The cathedral was much embellished in the 15th century in the Flamboyant Gothic style, including the top of the Saint Romain tower. In 1514 the wooden spire was destroyed by fire. 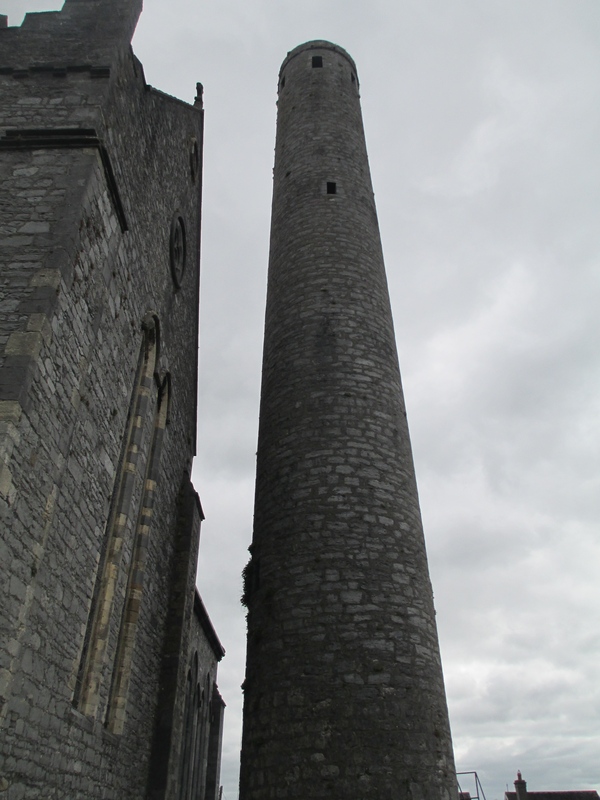 The central tower was rebuilt and made taller following the fire and it became a lantern tower, with a spire that reached 132 m. This spire was destroyed by another fire in 1822, and the spire that stands there now is the result of a competition for designs. The cathedral was badly damaged during WWII. It took a direct hit which barely missed supporting pillars but did extensive interior damage. Soon after the St Romain tower caught fire during another bombing and the bells in the tower melted. The cathedral was only just saved from falling down completely and was rebuilt in the following years. 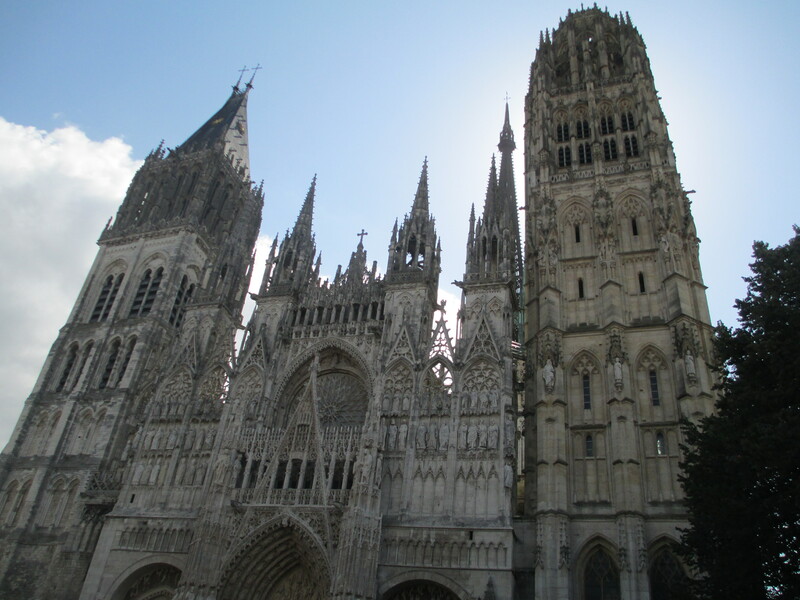 Rouen Cathedral is the burial place of Henry the Young King, the heart of Richard I, Rollo the first Duke of Normandy and the re burial place of Empress Matilda. 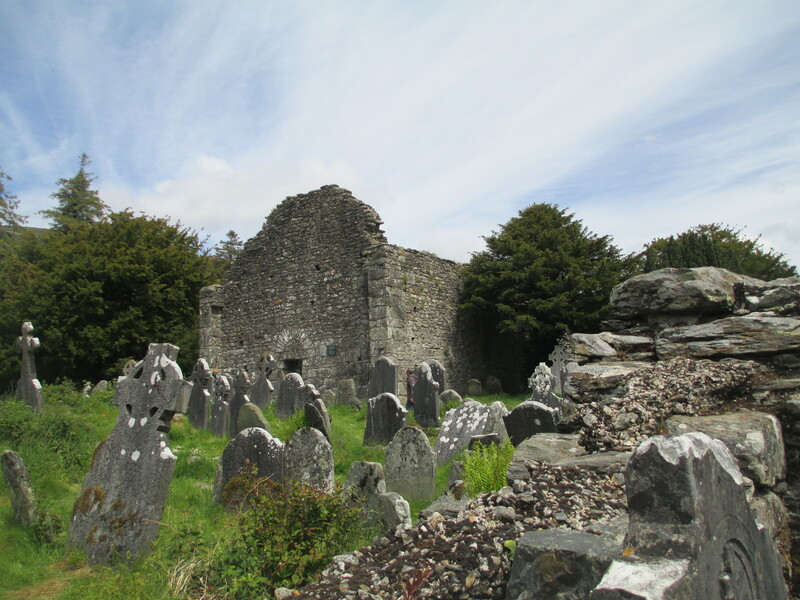 Building: Foundation stones were laid in 1220 and the three eastern chapels were the first parts to be completed. The main body of the cathedral was finished for consecration in 1258, but the whole project wasn’t complete until c. 1266. The tower and spire were added between 1300 and 1320, it stands at 123m, and since the 16th century has been the tallest spire in England. 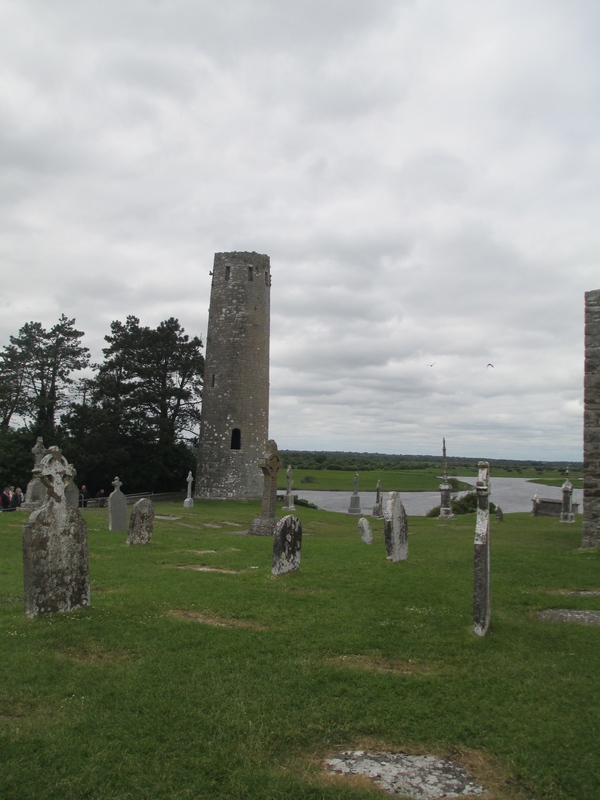 The original builders had not intended to include the tower and the spire and they began to bear down on the remainder of the building by the mid 14th century pushing columns out of alignment. So a process of reinforcement including buttresses, iron ties and strainer arches was begun. The eastern end of the cathedral including several chapels was reconstructed in the 15th century. The cathedral suffered during the English Civil war with damage to the bell tower, significant damage to the cloisters, which were used to house dutch prisoners, and lead stolen from the roof. 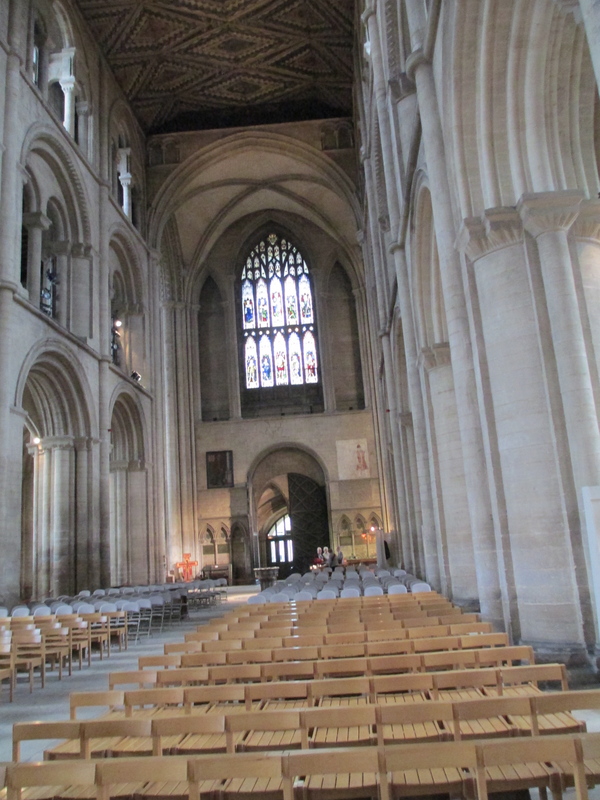 It suffered less than some of the other cathedrals though and was refurbished during the Restoration. The cathedral was heavily remodelled during the 1700s including the destruction of what remained of the bell tower and the removal of two porches. The interior was significantly remodelled as well with the levelling of much of the floor for a new altar, the removal of medieval glass and the white washing or removal of medieval wall paintings. It was remodelled again in the 1800s and 1900s. 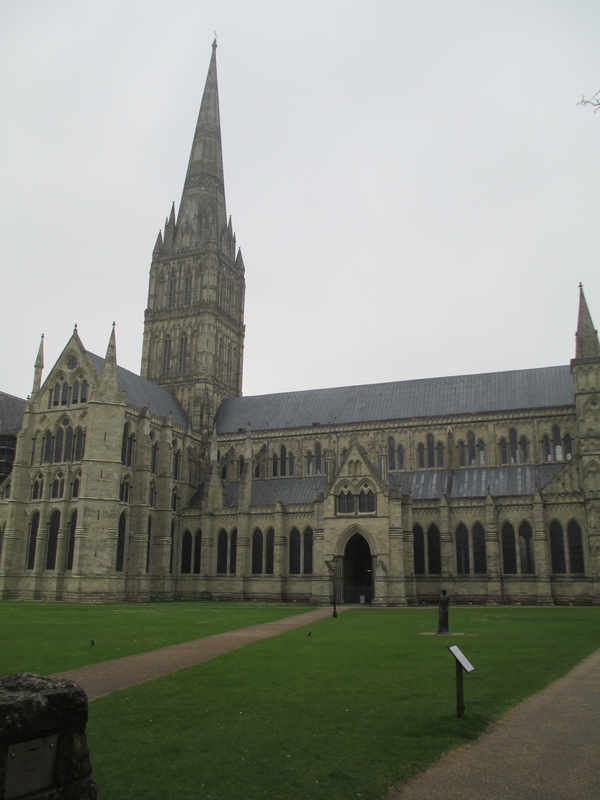 Salisbury Cathedral holds one of only 4 remaining copies of the 1215 Magna Carta. It is currently housed in the chapter house and can be viewed there. It is also the burial place of William Longsword. Illegitimate son of King John and Earl of Salisbury. 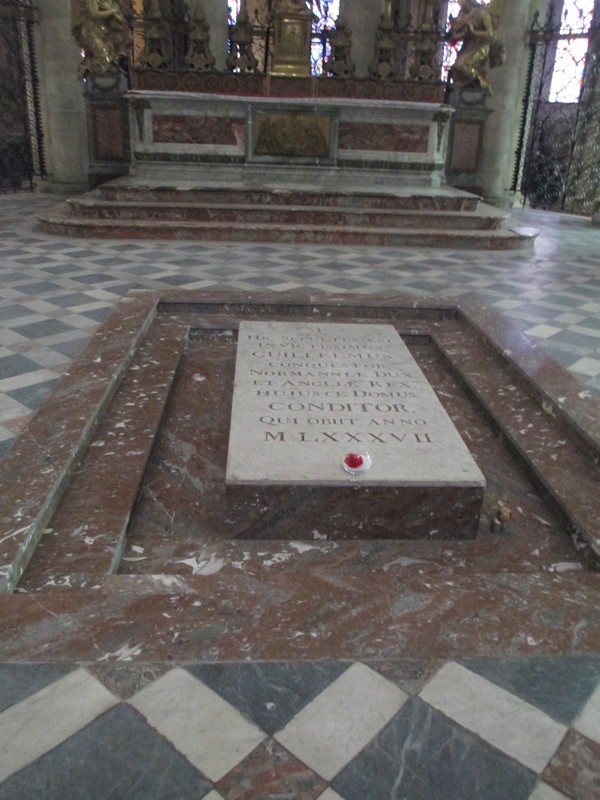 Some of his original tomb remains in wood. Building: St David’s was founded as a monastery in c. 601 after St David died, but the present cathedral was begun in 1181. 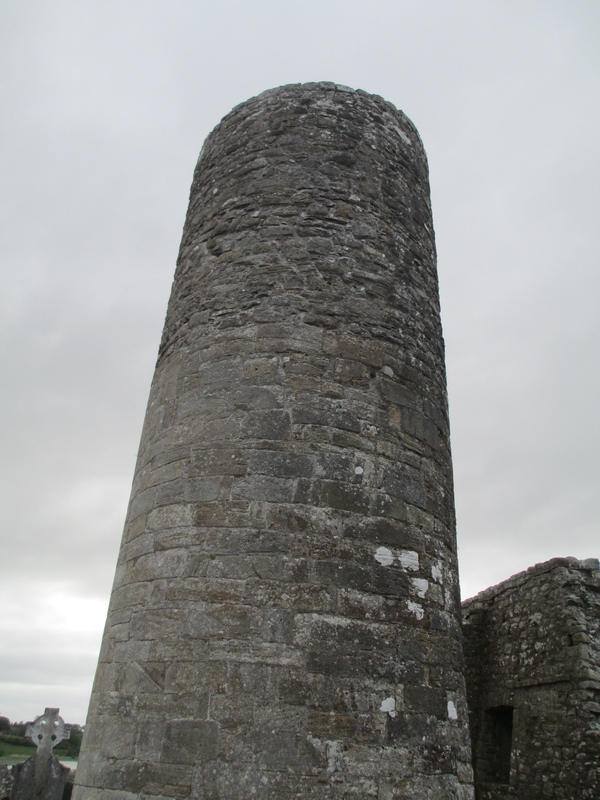 In 1220 the central tower collapsed. The building was then damaged by an earthquake in c.1247. The Holy Trinity Chapel was built in the 16th century, the nave roof and the ceiling and were reconstructed in the same time period. Much of the building was damaged during the English Civil War. The west front was rebuilt in c. 1793. The cathedral was restored in the 19th and 20th centuries. The nave is the oldest surviving part of the cathedral. It’s built in Transitional Norman style. The wooden ceiling was built in the mid 16th century. St David’s is the site of the shrine of St David. It has been a place of pilgrimage since the 600s and remains so today. 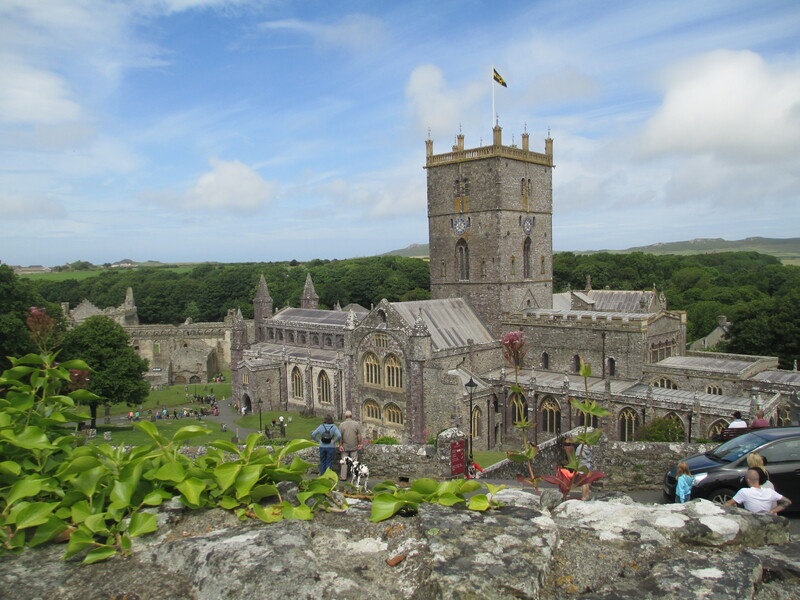 St David’s is also the burial place of Gerald of Wales, the famous chronicler of both Wales and Ireland, he campaigned to be Bishop of St David’s, but was ultimately unsuccessful. Building: It is quite plain that the building standing on this site now is not a medieval cathedral. The current cathedral was built in 1773 after the old cathedral was deemed to need replacement. The city corporation felt that the Norman cathedral was old fashioned and wanted a new modern cathedral so they petitioned the bishop, telling him that the old cathedral was too run down. Tradition has it that rubble was dropped strategically near the bishop when he visited to convince him that the cathedral needed replacing. He agreed in 1773. However in a testament to the Norman masons and a fairly clear sign that the cathedral was not falling down, the cathedral was so strong that it had to be blown up with gunpowder rather than just pulled down. The current building is a reasonably unusual, for a cathedral, neo-classical Georgian style which was immensely in fashion when this cathedral was built. The medieval cathedral which stood on this site before it was, quite possibly unnecessarily, blown up dates originally to 1096 when it was built by the recently converted Vikings. 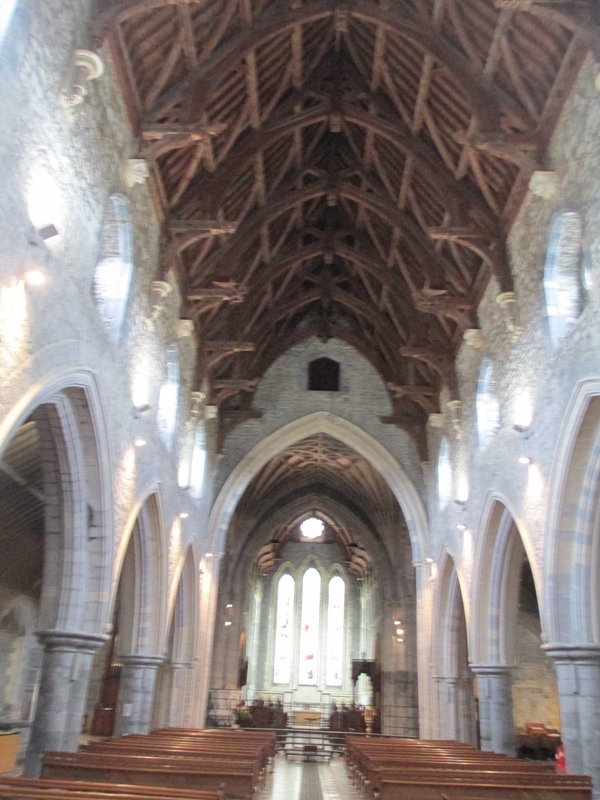 For me the main point of interest is that it was in this early cathedral that Richard Strongbow and Princess Aoife were married in 1170. Strongbow was one of the Normans whom King Diarmait Mac Murchada invited over to Ireland to reclaim his kingdom of Leinster. He promised Strongbow his daughter in marriage if he came, as well as the chance to inherit the kingdom. Strongbow was one of the first of the Normans in Ireland and they never left. Thus Mac Murchada’s legacy is somewhat mixed. Strongbow and Aoife were also the parents of Isabel de Clare and thus the parents in law of William Marshal. Strongbow died in c. 1176, ultimately leaving Isabel as one of the greatest heiresses of her time. The Normans also significantly rebuilt the cathedral in 1210 and continued to add to it until it was blown up in the pursuit of fashion in 1773. Building: A Saxon cathedral was begun on this site in c. 648 but was slowly replaced by the Norman Cathedral and finally demolished in 1093 when the old and new building converged. It is possible that there was the intention to later rebuild and extend the western structure in a more ‘modern style’ but the black death in 1348, which halved the population of Winchester and the population of monks, put a stop to any ambitious rebuilding plans. In the late 14th century the three west porches and the great west window were created to close off a cathedral that had been truncated by necessity. The nave was also dramatically refurbished in the Gothic style in the early 1400s, though some romanesque elements remain. The Holy Sepulchre chapel by chance retains some of the original 12th century wall paintings depicting the entombment of Christ. The crypt is also an interesting feature of the cathedral as it is flooded for much of the year and has been so since the beginnings of the cathedral. 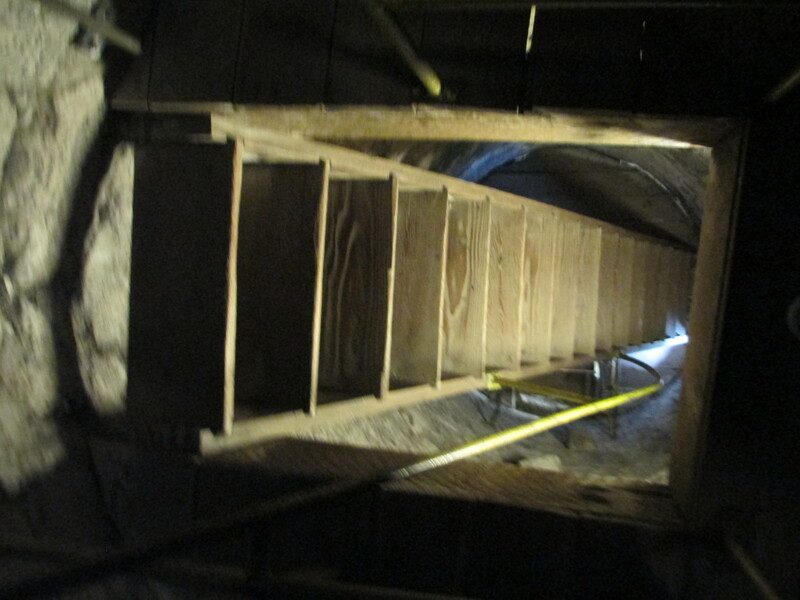 The water comes up through a well behind the high altar as well as through the actual floor of the crypt. 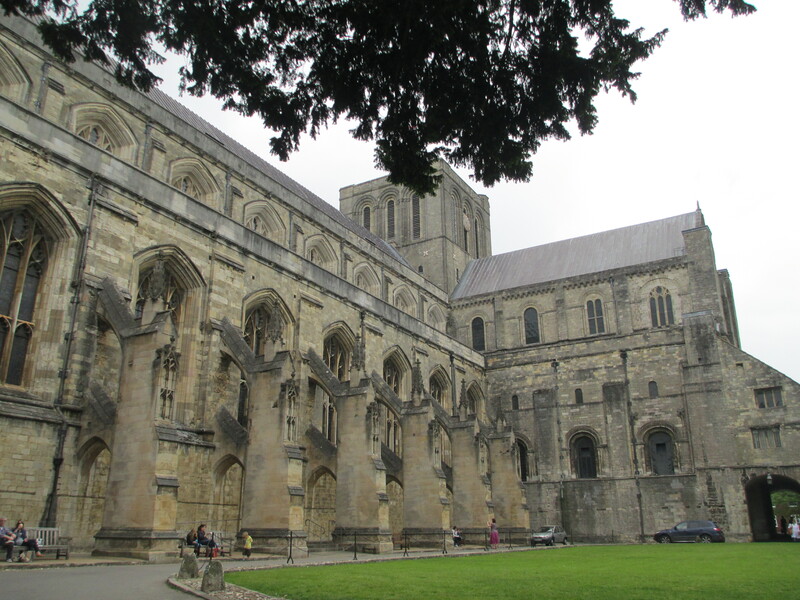 Winchester Cathedral has seen a number of important events. William Rufus was brought there after he was ‘accidentally’ shot dead in the New Forest. 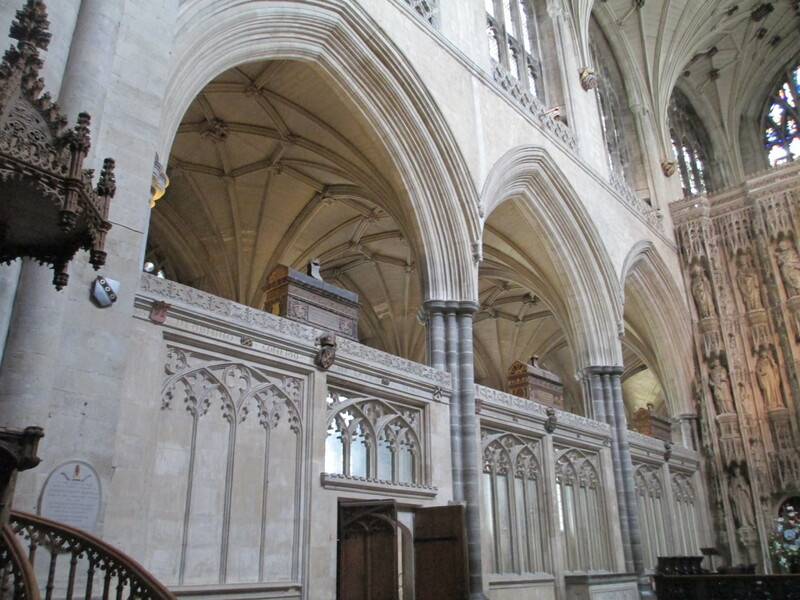 His remains lie in mortuary chests in the cathedral along with, probably, those of King Canute. Henry IV and Joan of Navarre were married in the cathedral as were Mary Tudor and Phillip of Spain. Henry III may have been baptised there, he was born in the castle, and the ill fated Prince Arthur, the older brother of Henry VIII, certainly was. The Puritans did extensive damage to the cathedral when they came through, they stole all the treasures and used the bones of kings and prelates to break the main windows. Winchester Cathedral is also the site of the Winchester Bible, a fantastically decorated illuminated manuscript commissioned by Bishop Henry of Blois, the younger brother of King Stephen, and dating to the early 12th century. It is four volumes and was worked on for twenty years by scribes and illustrators. Building: The building of the Norman cathedral began in 1080. The cathedral was then extended in 1160 with a new eastern arm. The main massive rebuilding project began in 1120 with the rebuilding of the south transept in Early English Gothic style. This rebuilding project continued over a number of years. The north transept was completed in 1253, the chapter house in 1290, the nave in 1338, the lady chapel in 1373, the east end in 1420 and the central tower in 1465. The building was consecrated as the minster in 1472. The nave roof and the bell towers were badly damaged by fire in the 1840s and in 1984 the south transept roof was destroyed by fire. One of the better known elements of York Minster is the quire screen with its fifteen kings. It was built in c. 1450 and contains sculptures of the fifteen Kings of England from William the Conquerer until Henry VI. On a side note a duplication of the screen as part of a side board can be seen in St Paul’s cathedral in Melbourne Australia. Underneath the cathedral are the remains of the Roman Principia where it is possible Constantine was proclaimed emperor in CE 306. 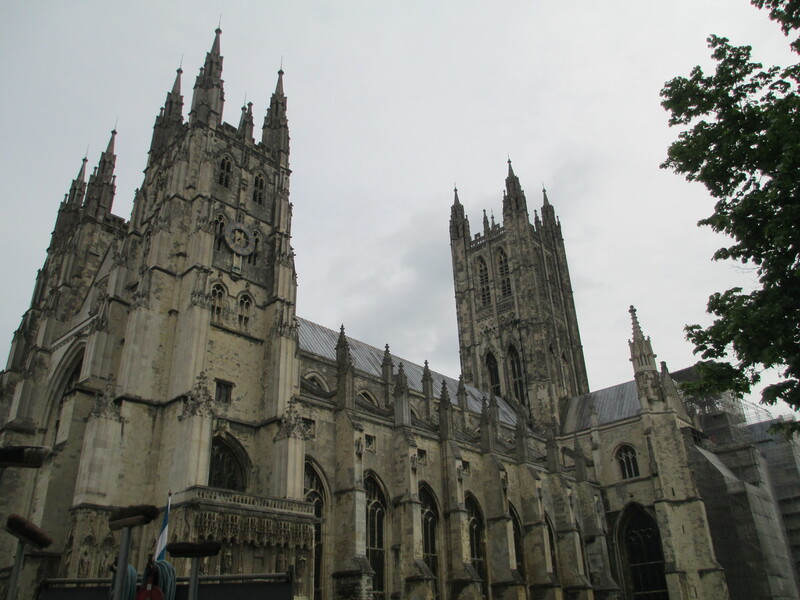 This post began as an attempt to visit as many of the burial places of the kings and queens of England as I could. 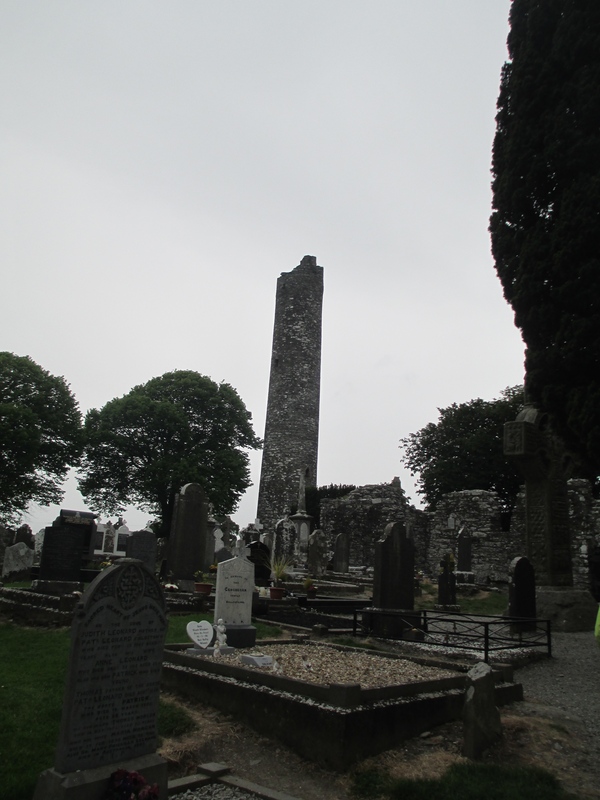 I was intending to photograph each of the burial places and put them into this post. I have now made it to the vast majority as you can see from this list that I’ve been ticking off. There is one typo, George II is Westminster not Windsor. 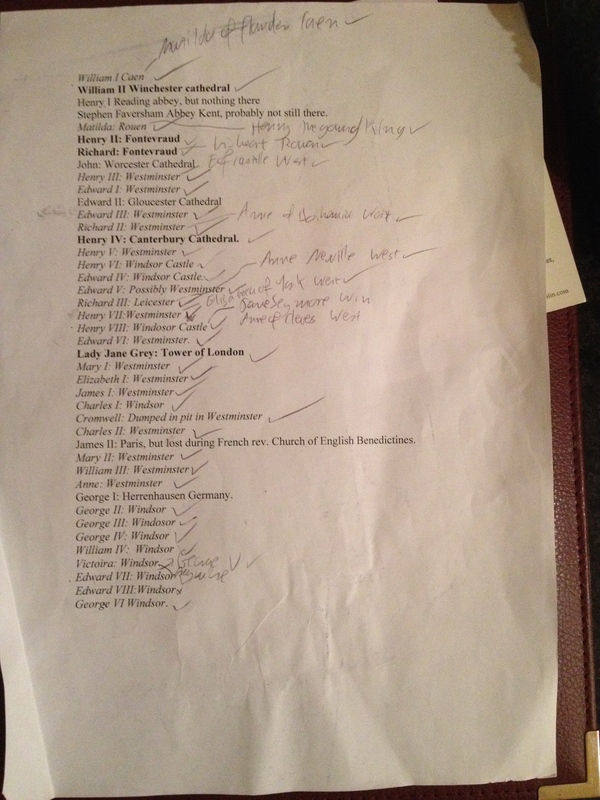 The only ones I’m missing are: Henry I, Stephen, John, Edward II, James II and George I. With Henry I, I have been to Reading but not to the Abbey as I was just going through the train station and didn’t have time for the detour. Unfortunately significant numbers of the burials are in St George’s Chapel Windsor and Westminster Abbey neither of which would let me take photographs. So this post has become somewhat denuded. Nevertheless I thought it was still worth posting because at worst it is a list of the burial places of the kings and queens and there are some nice photos of the ones that let me take photographs. This list begins with William I and go through to George VI. I hope you find it interesting. b. c. 1056 d. 1100. Reigned 1187-1100 Buried Winchester Cathedral. William’s bones are said to be part of the mortuary chests seen on top of the screen, King Canute is also supposed to be entombed there. Buried Reading Abbey, there are no remains of his tomb. 4. King Stephen/ Empress Matilda. Buried Faversham Abbey, there are no remains of his tomb. Reigned: For various parts of Stephen’s reign she was ruling significant proportions of the country, she controlled most of it for a time after King Stephen was captured at the battle of Lincoln in 1141. However she was never actually crowned. b. 1133 d. 1189. Reigned 1154-1189 Buried Fontevraud Abbey. 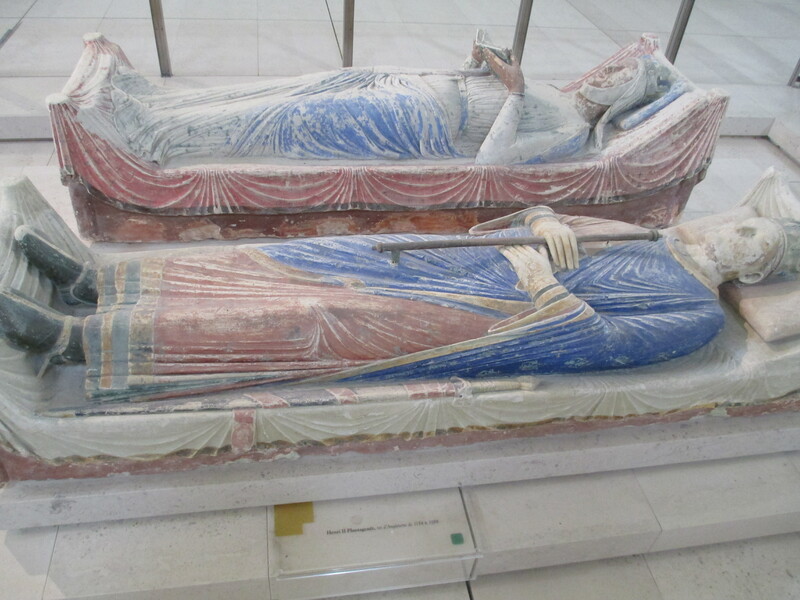 His wife Eleanor of Aquitaine, c.1124- 1204, lies beside him. 5.1 Henry the Young King. Buried Rouen Cathedral. The effigy is not contemporary. Buried Fontevraud Abbey. 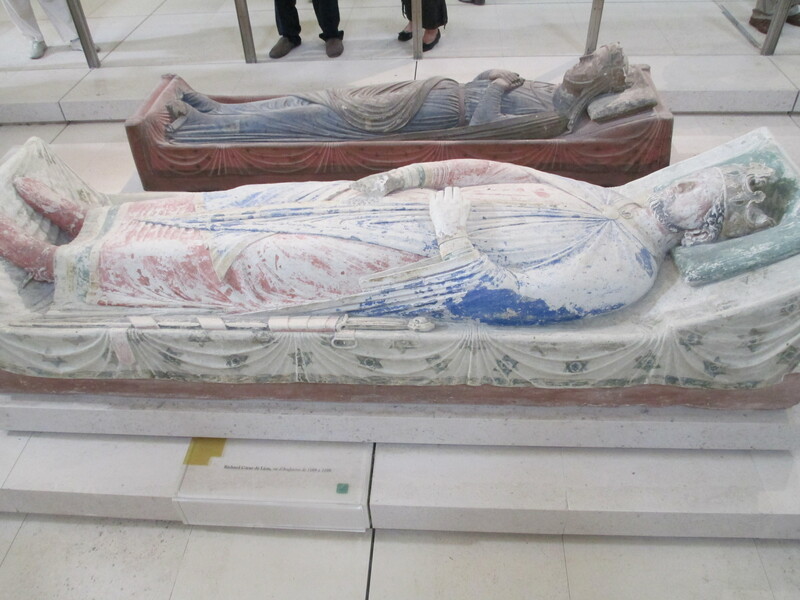 He lies with his parents and next to Isabelle of Angouleme the wife of his younger brother King John. Buried Worcester Cathedral. Unfortunately I haven’t been there. 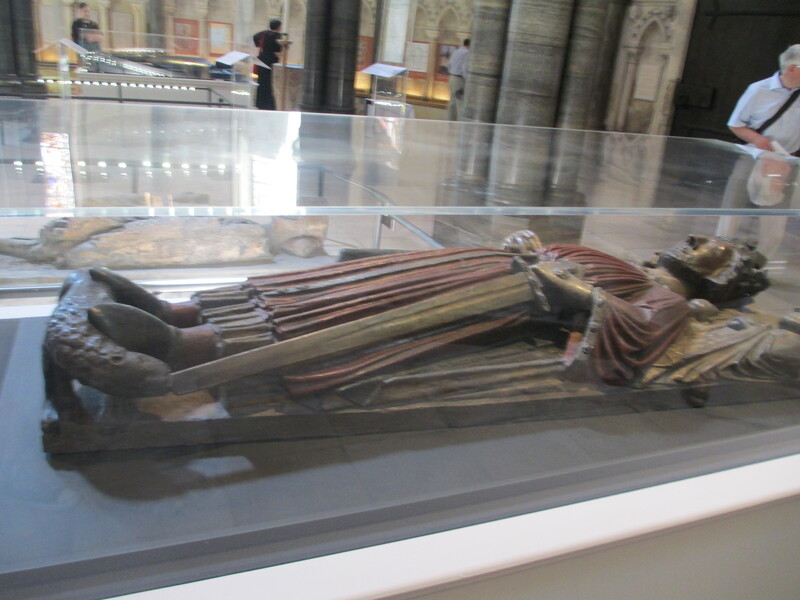 This is a copy of his effigy which is currently on display at the Temple church in London. Buried originally at King’s Langley, but moved to Westminster Abbey by Henry V.
b. 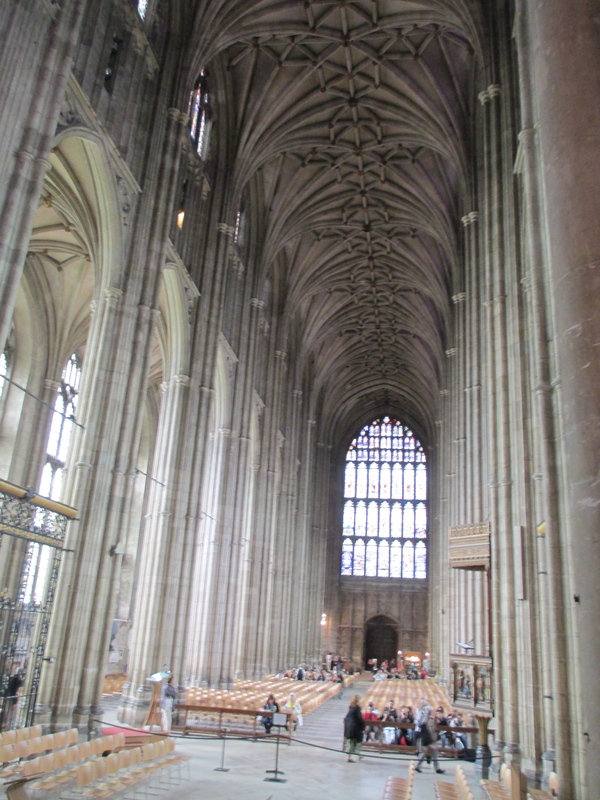 1367 d. 1413 Reigned 1399-1413 Buried Canterbury Cathedral. 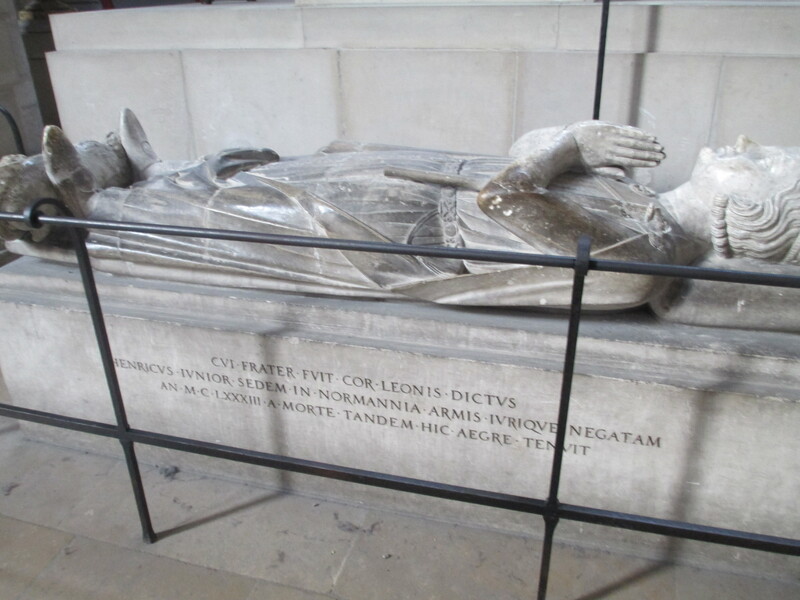 Henry is buried with his wife Joan of Navarre c. 1370-1437. Reigned 1421-1471 there were significant proportions of this time where he wasn’t actually king. For more information. b. 1470 d. c. 1483, possibly. Buried. Unknown but skeletons, at the time thought to be his and his brother’s, were found in 1674 and buried in Westminster Abbey. This is spurious. Buried originally in Greyfriars in Leicester reinterred in March 2015 in Leicester Cathedral after his bones were found. Buried Church of St Peter ad Vincula Tower of London. 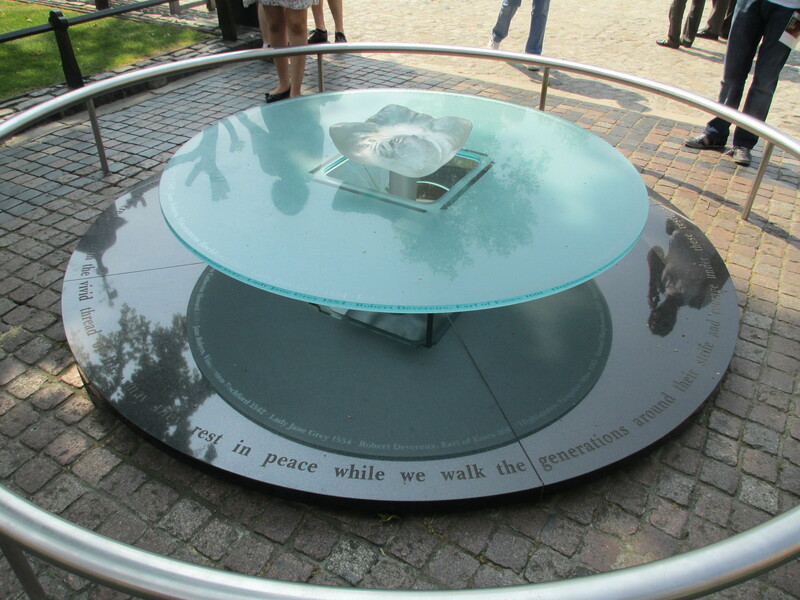 I unfortunately don’t have a photo of the Church of St Peter ad Vincula, I’m not sure why I didn’t take one, but the photo below is of the monument that stands roughly in the place where Lady Jane, along with Anne Boleyn and Catherine Howard and others, was executed. 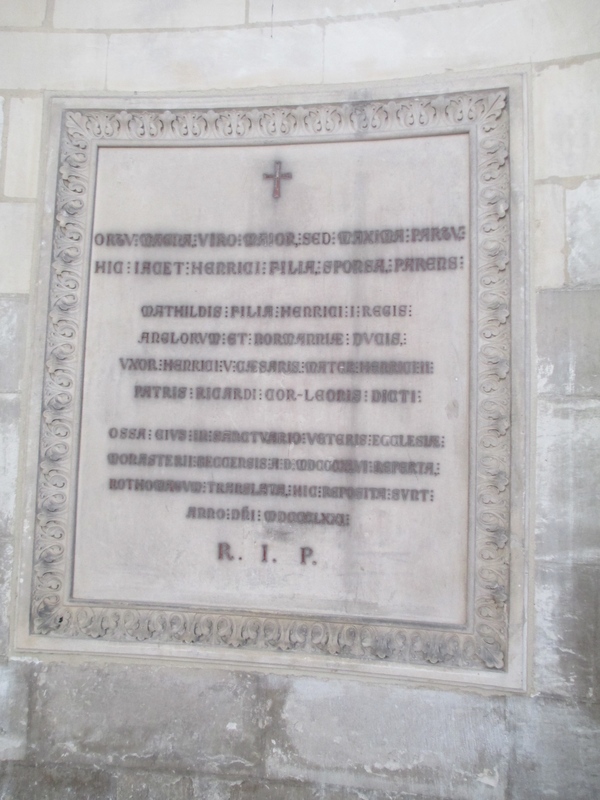 Buried Church of the English Benedictines Paris, his tomb was looted during the French Revolution.